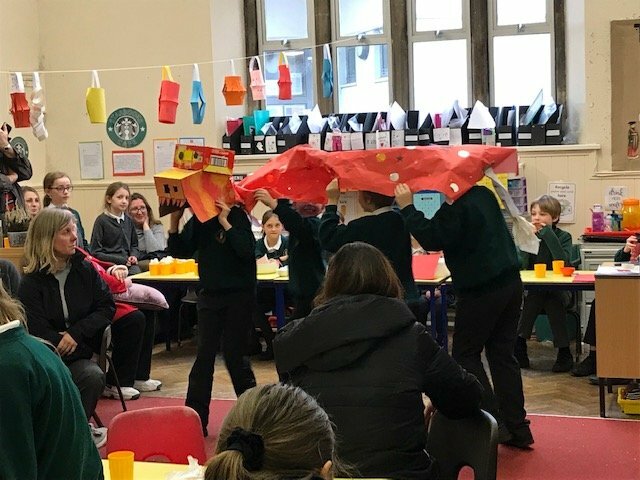 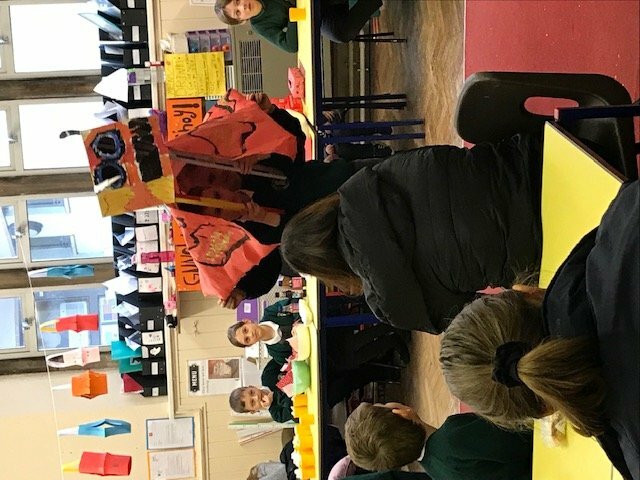 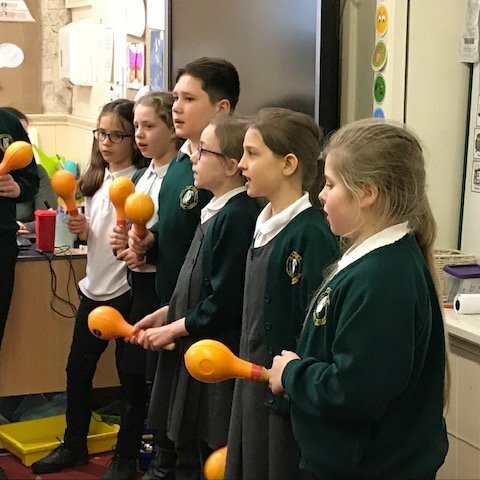 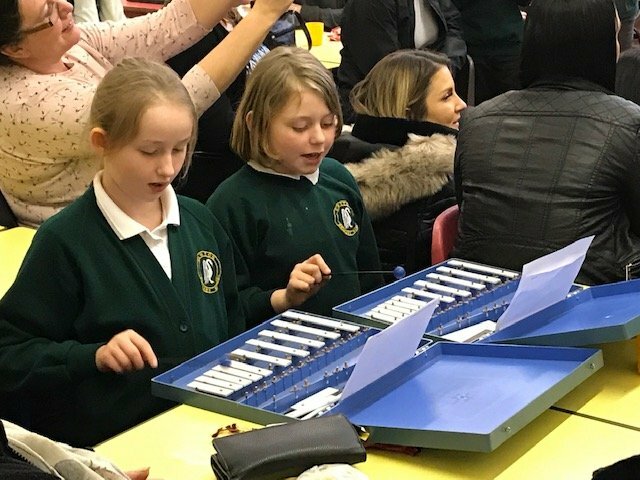 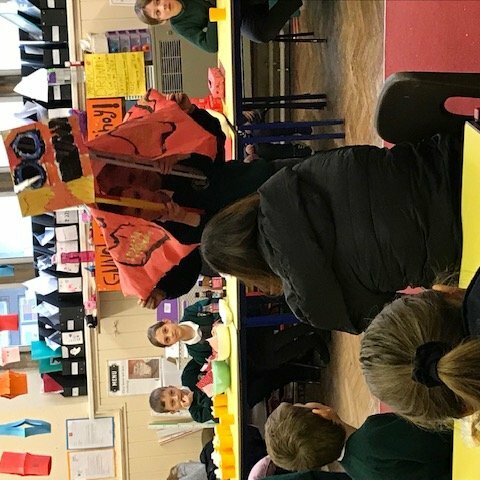 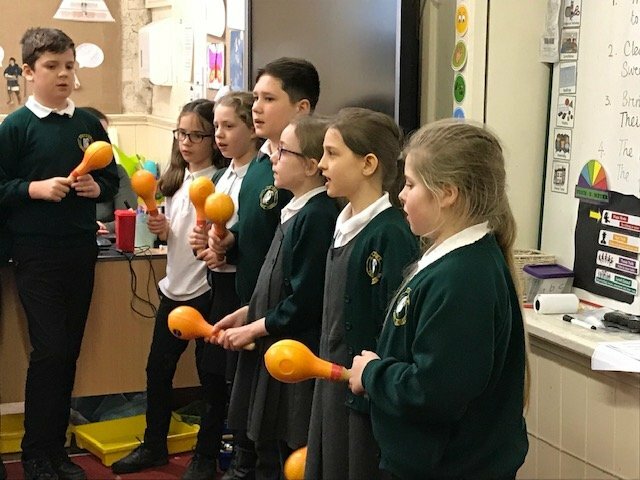 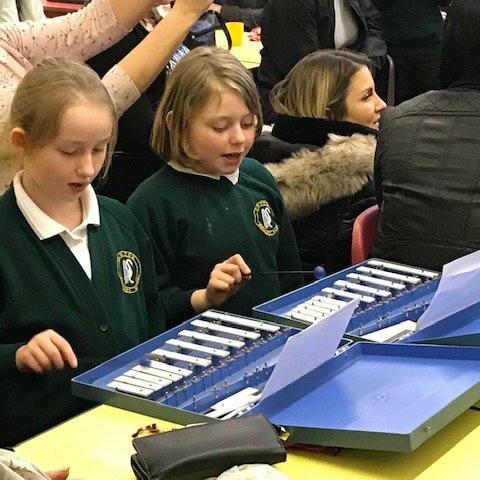 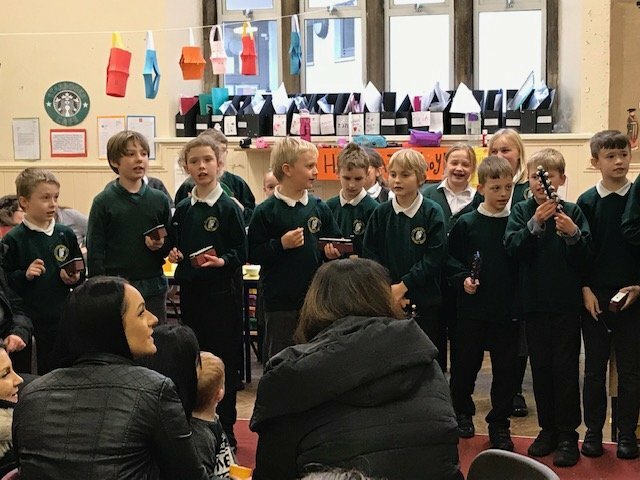 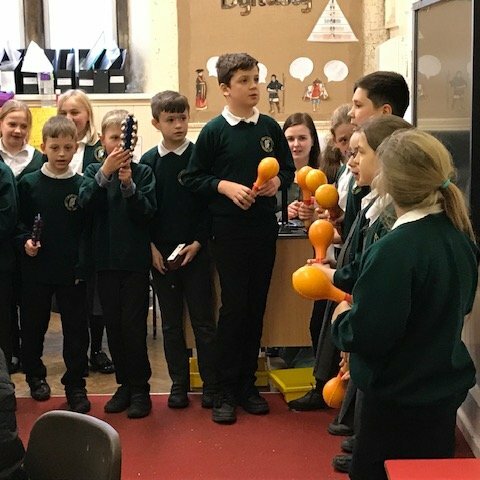 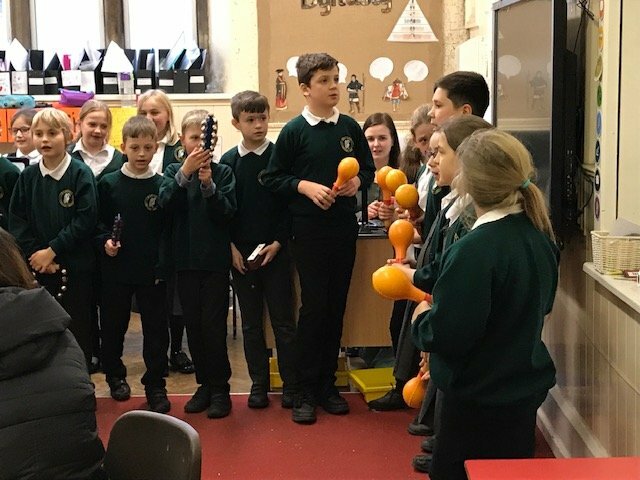 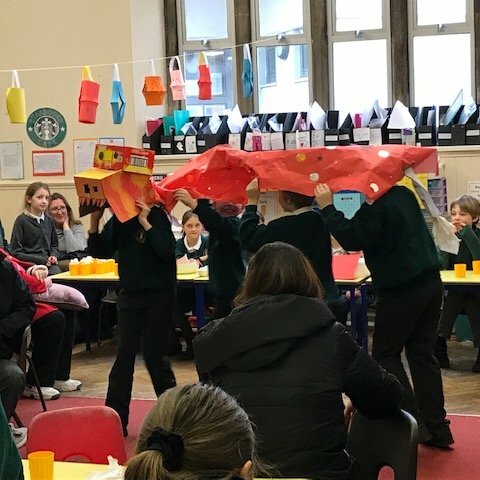 Sycamore Class, Year 4/5 invited parents in to celebrate Chinese New Year, with traditional food prepared by the children, traditional Chinese dragon dancing and singing a beautiful song, with own musical accompaniment. 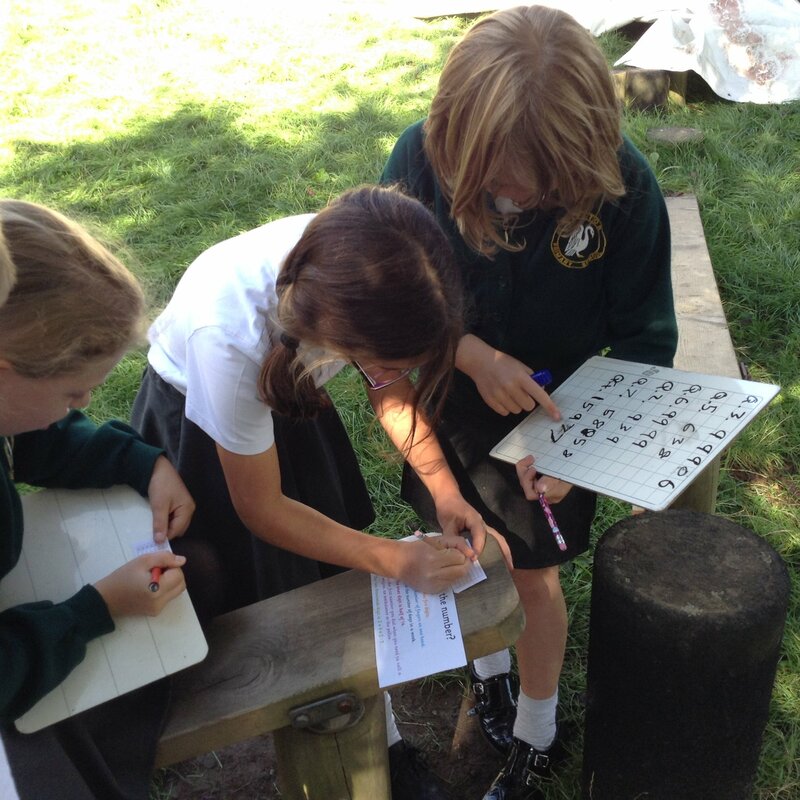 This learning was part of their topic work on The Shang Dynasty. 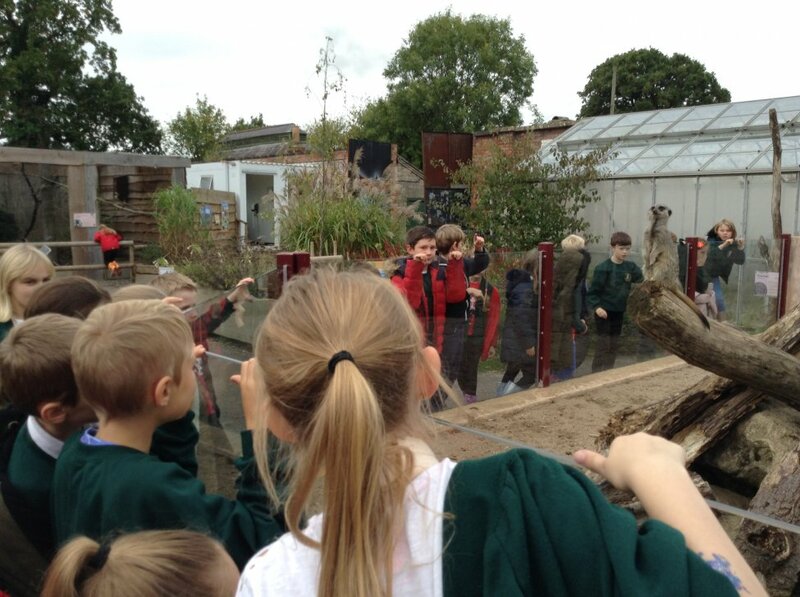 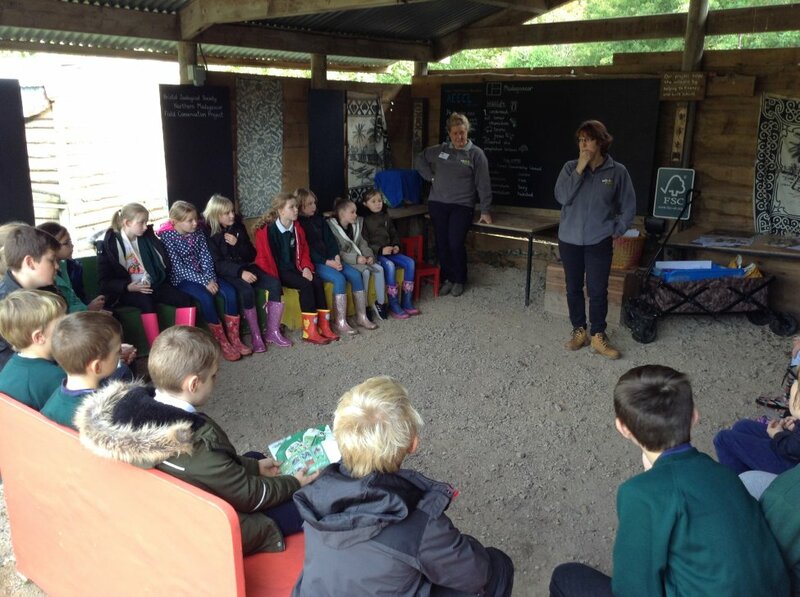 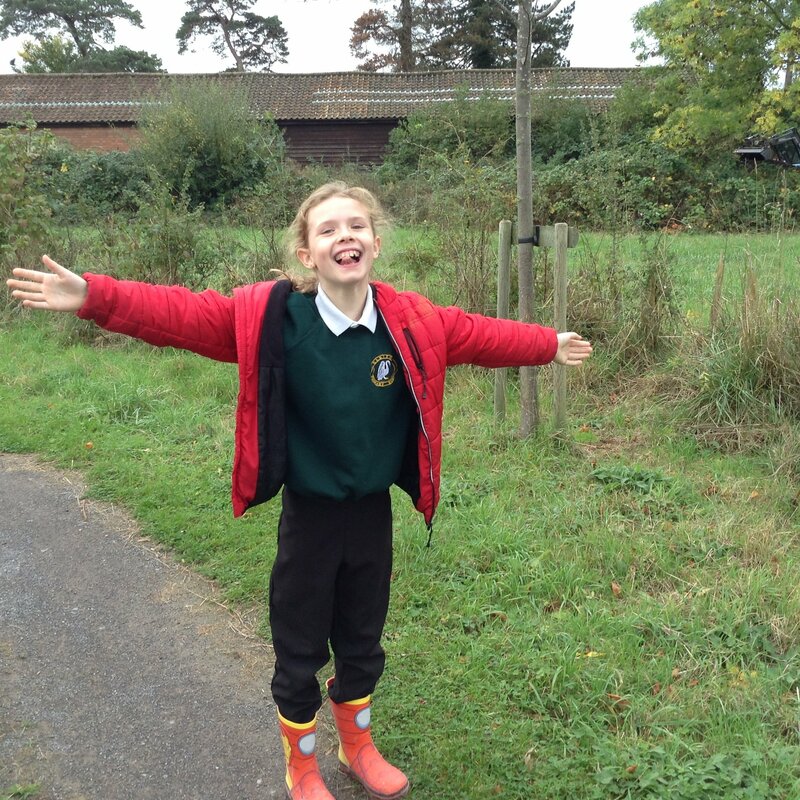 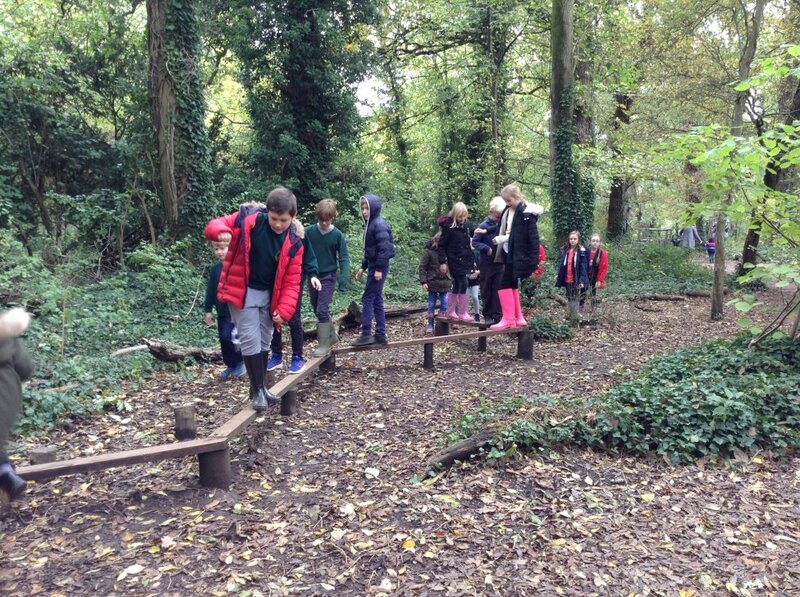 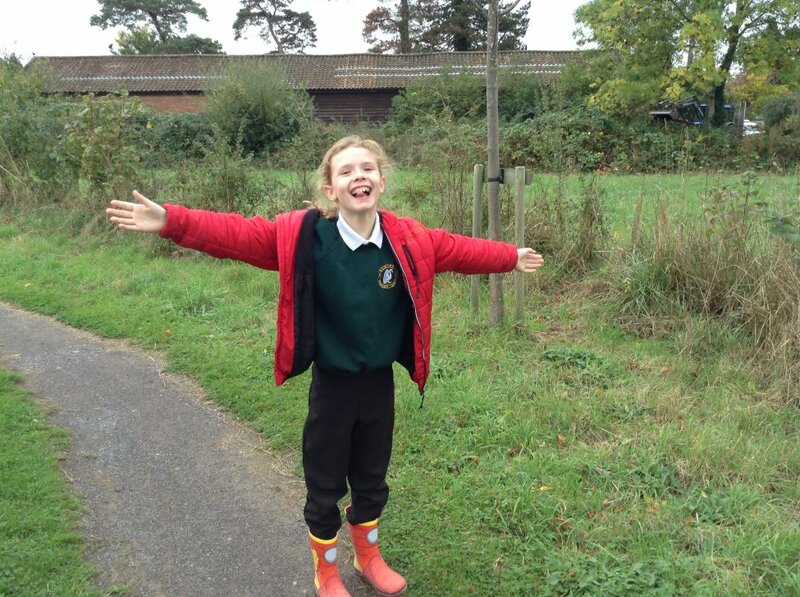 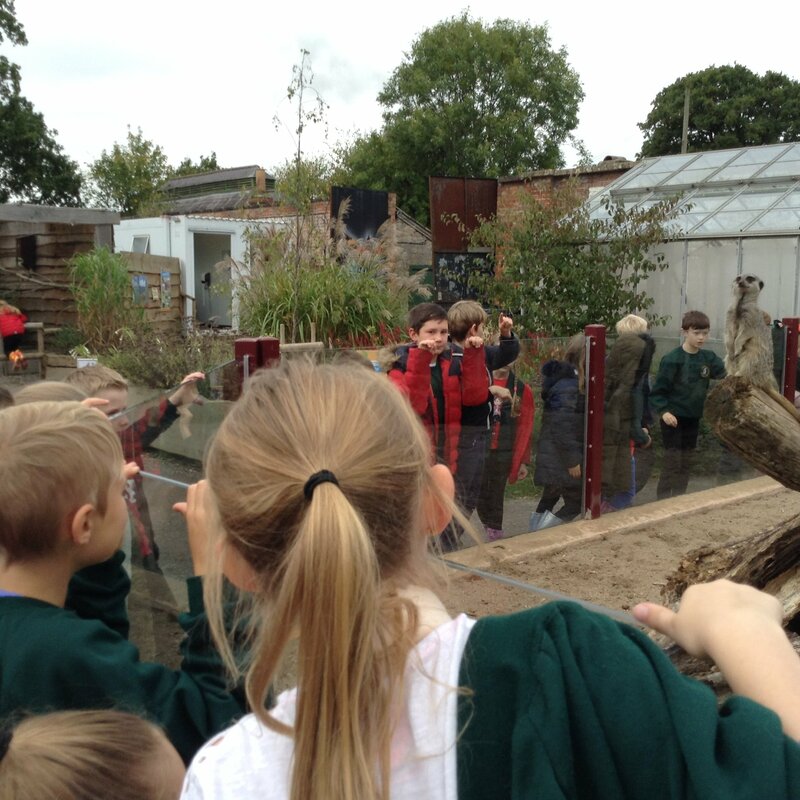 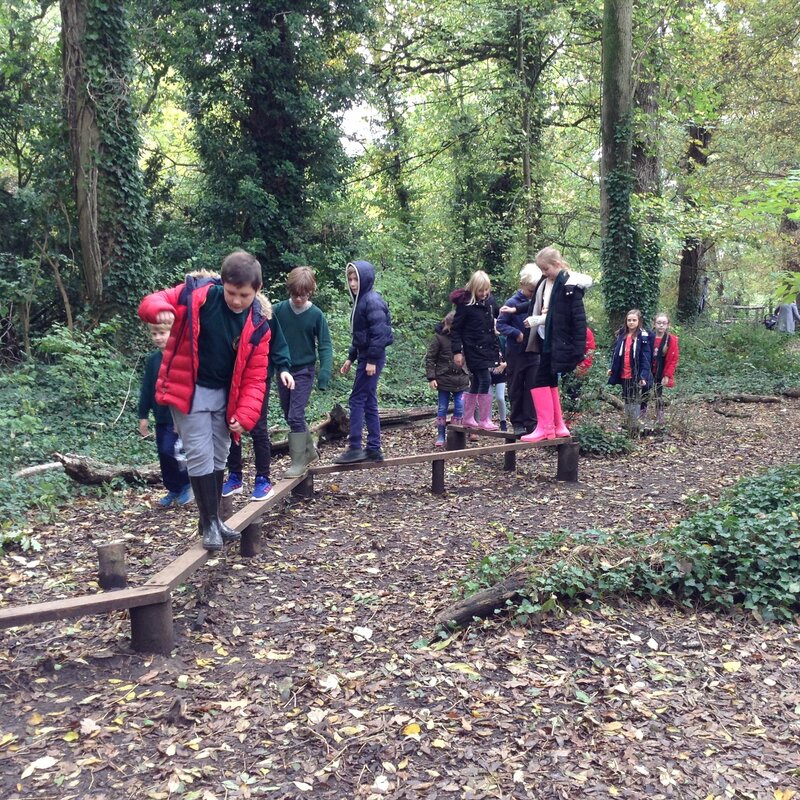 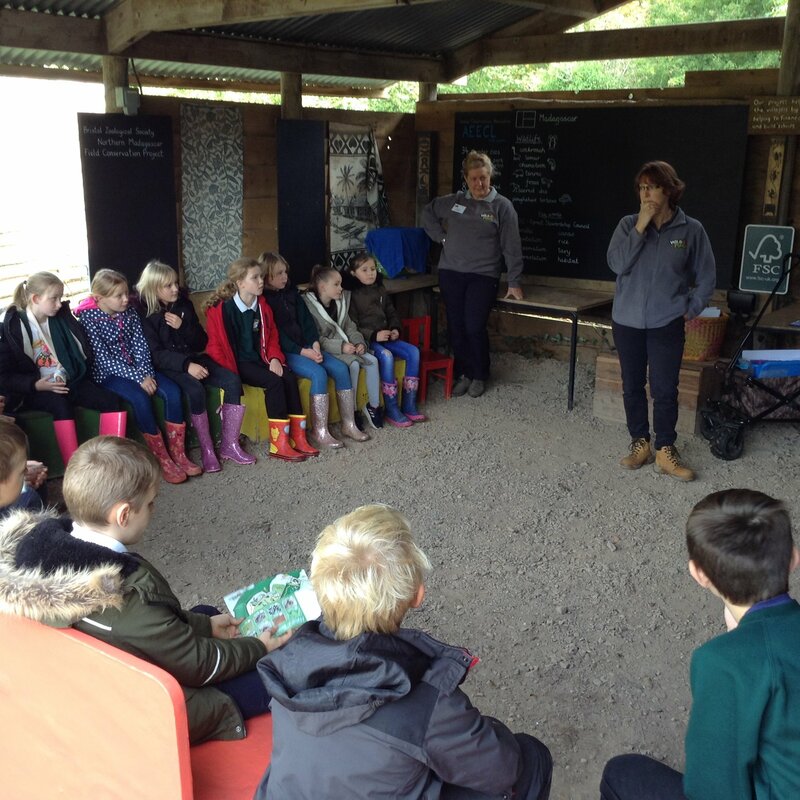 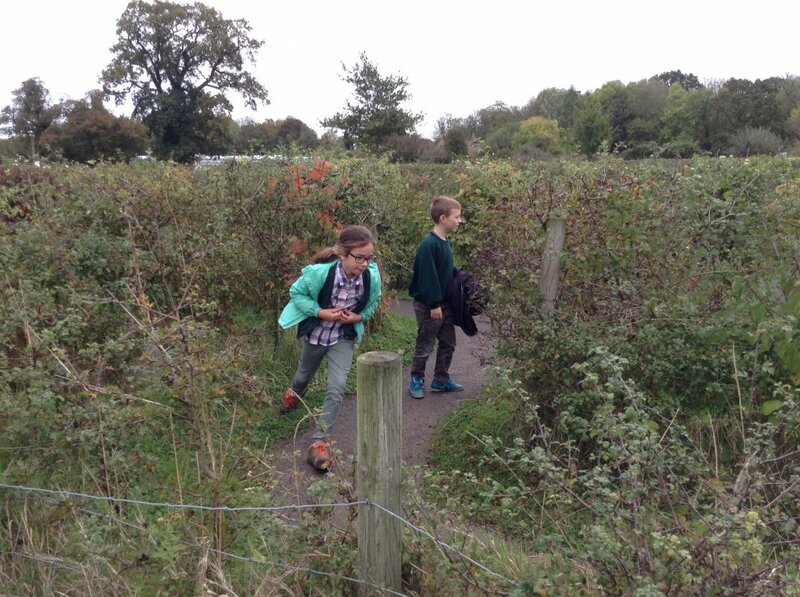 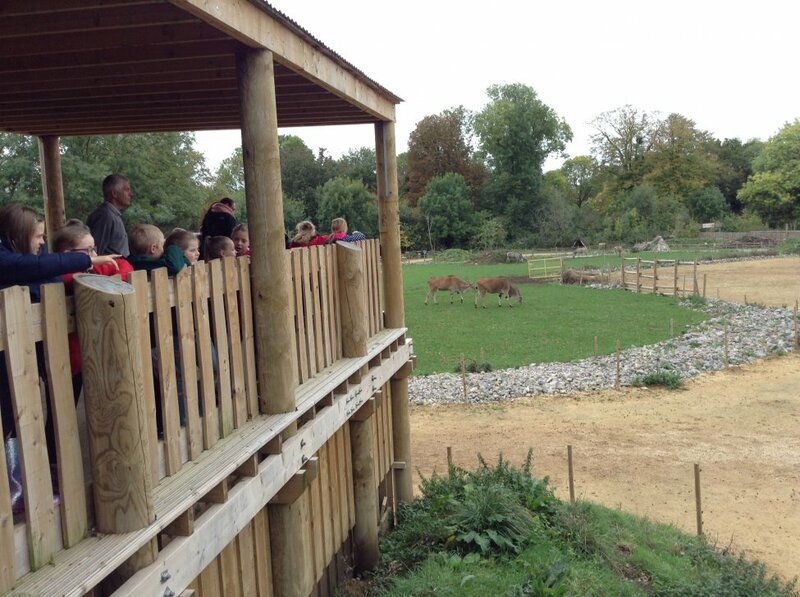 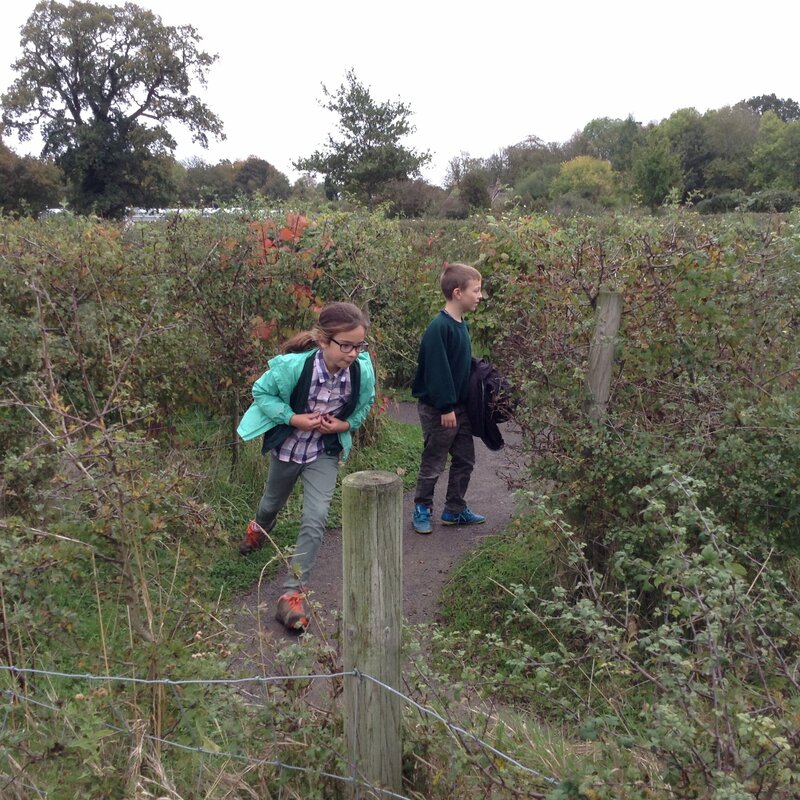 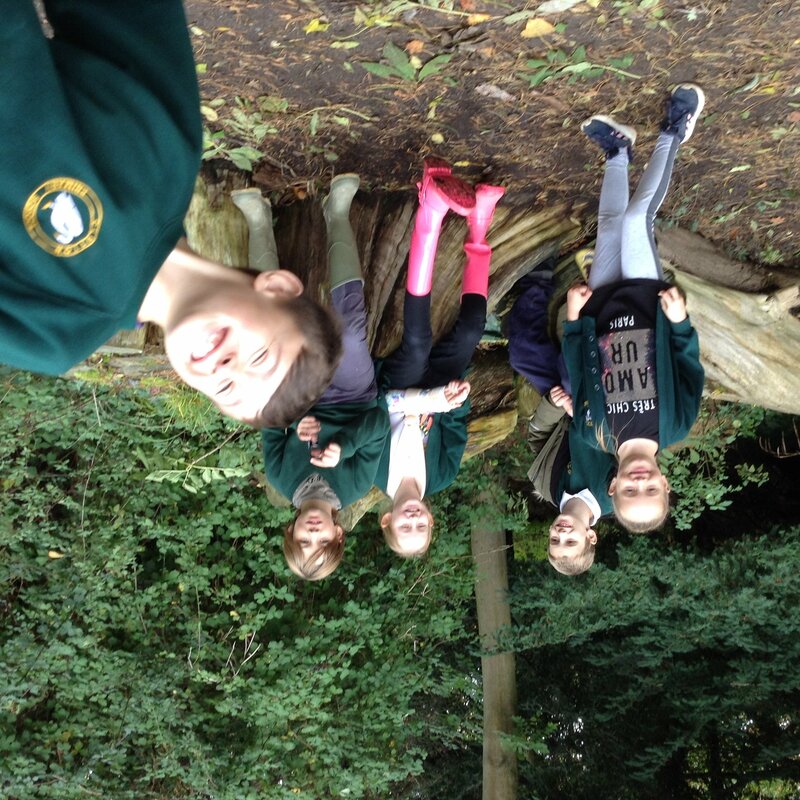 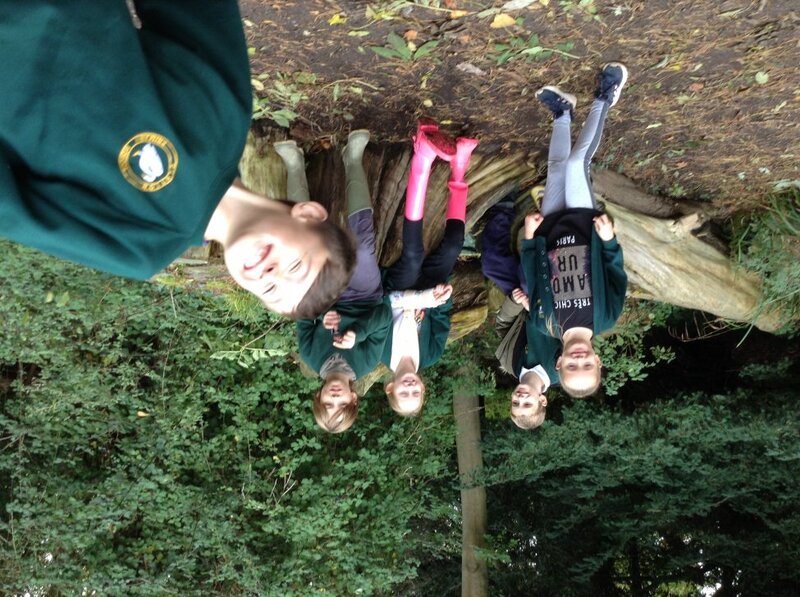 Sycamore Class had a lovely trip to the Wild Place today and the weather was on our side too! 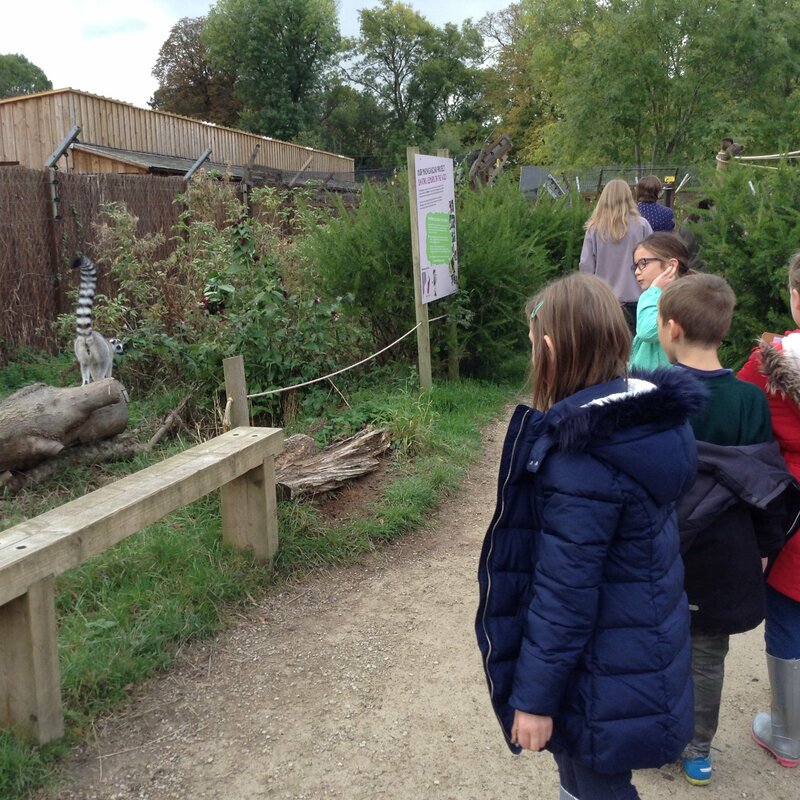 Throughout the day, we were able to see cheetahs, giraffes, zebras, gelada baboons, meerkats and okapis as well as being followed by a confusion of guinea fowl who wanted to join us! 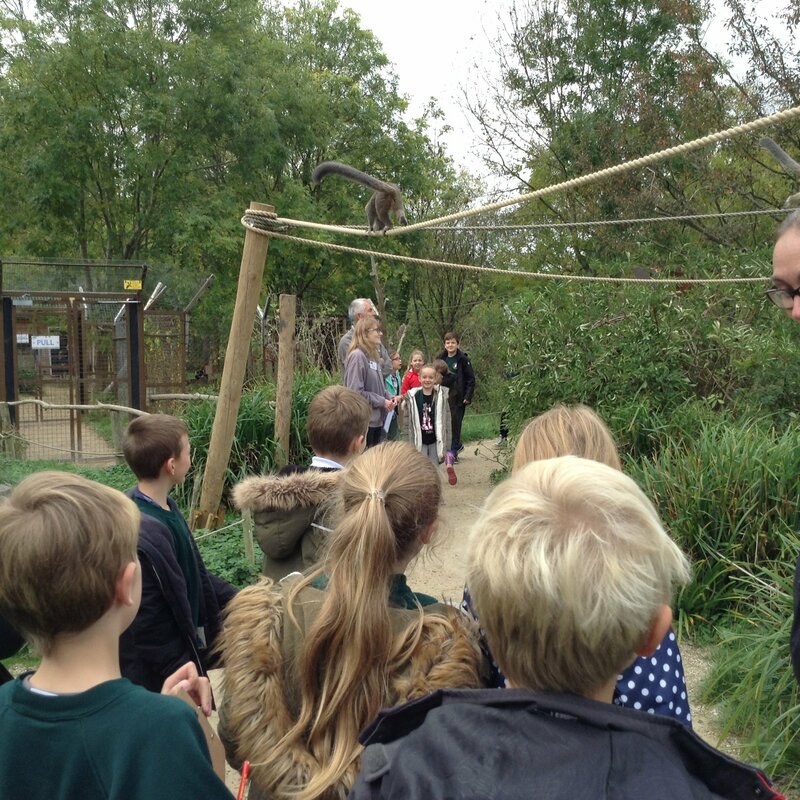 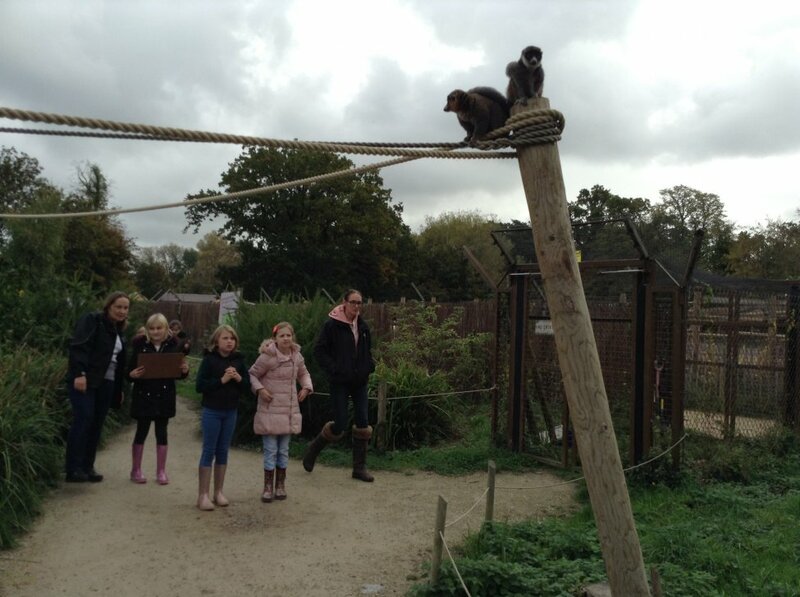 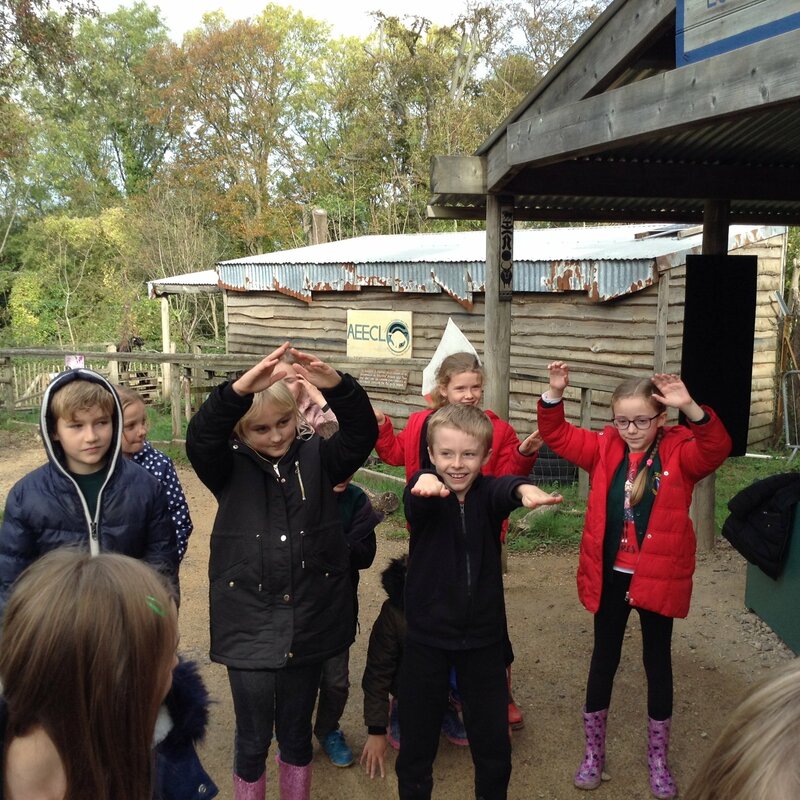 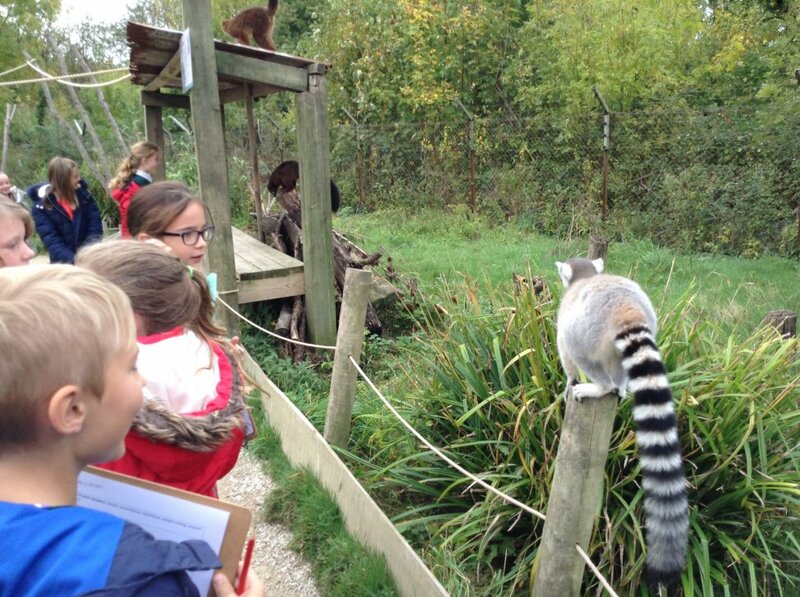 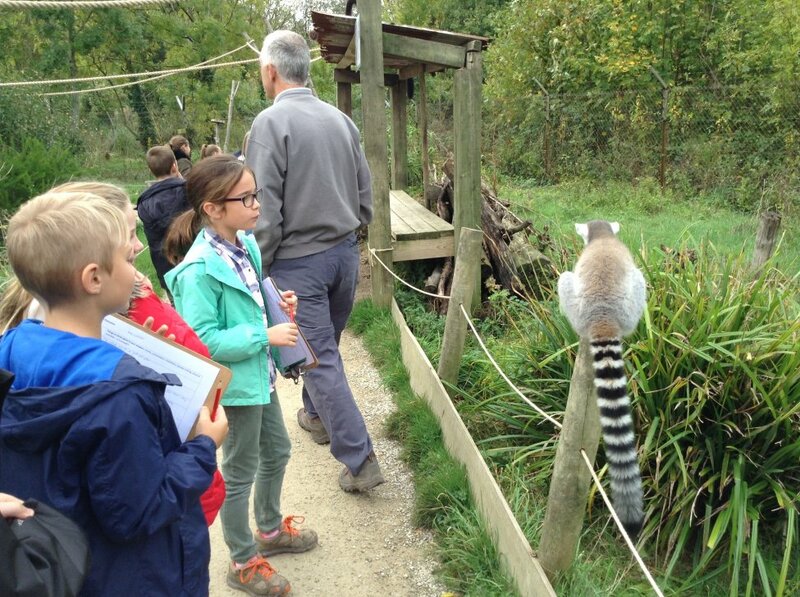 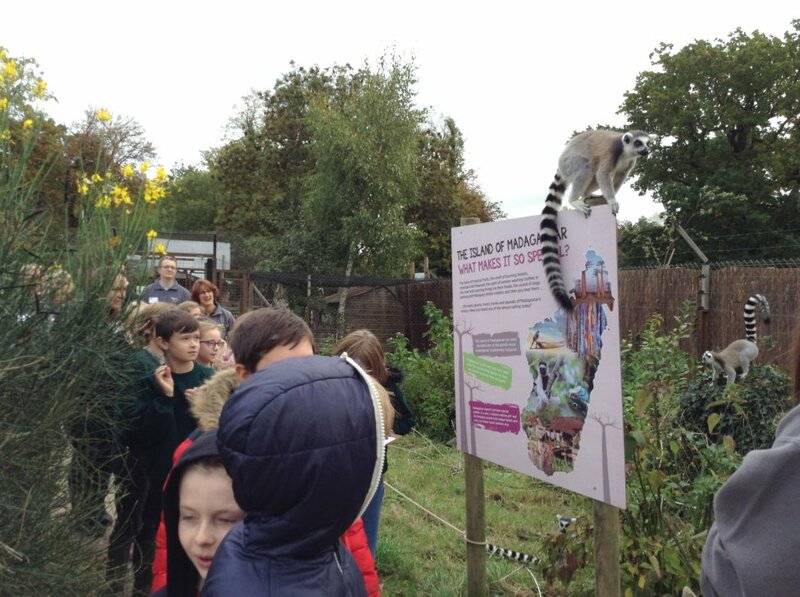 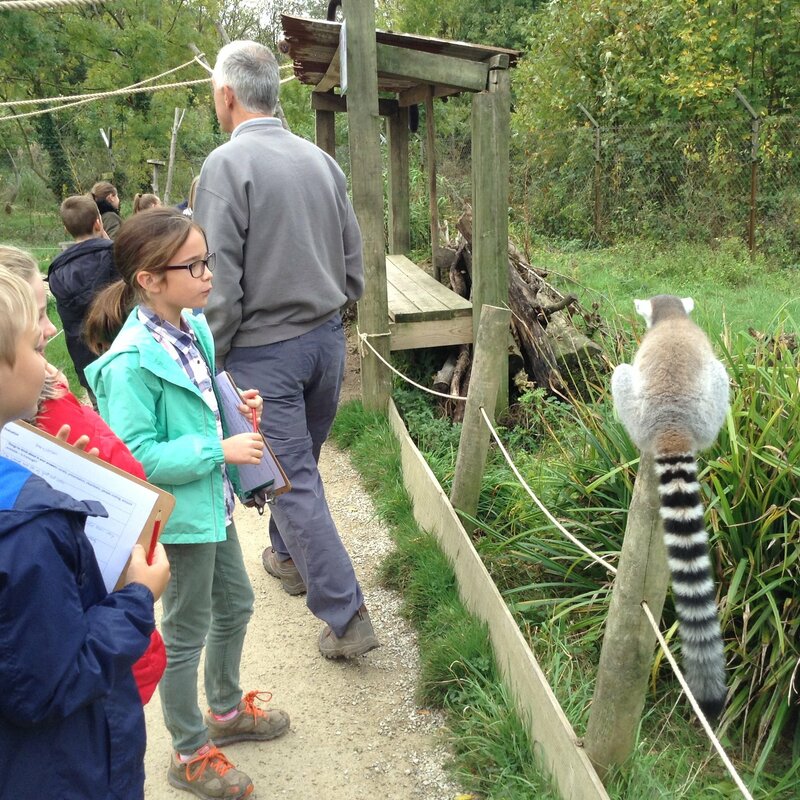 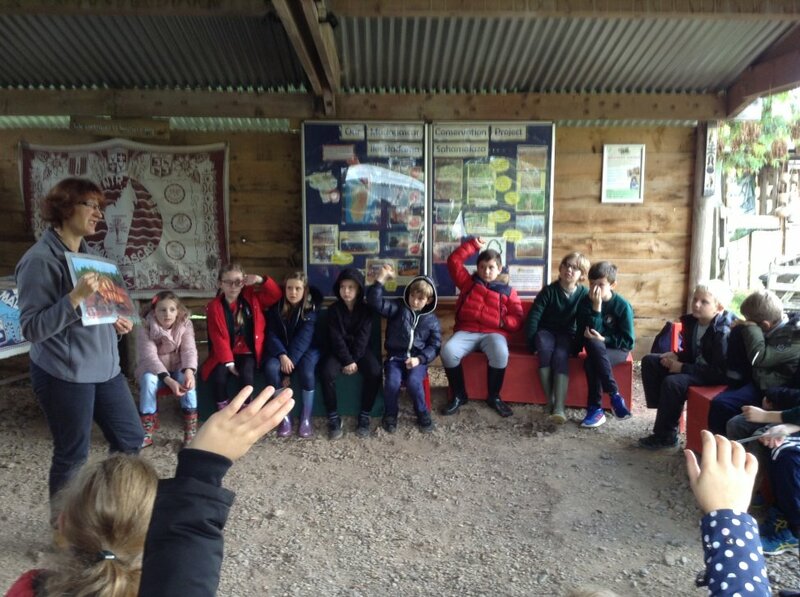 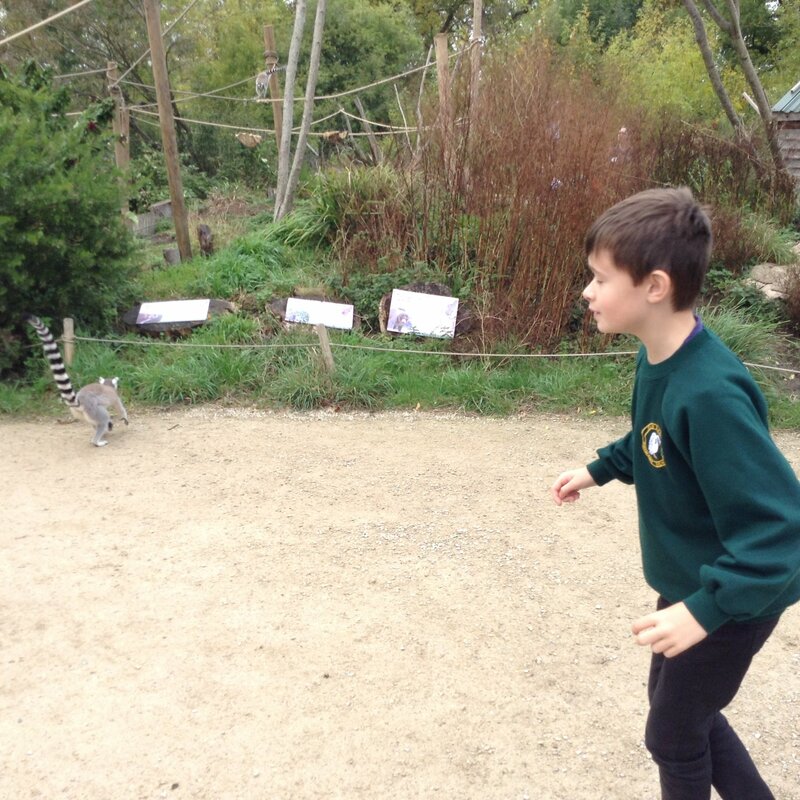 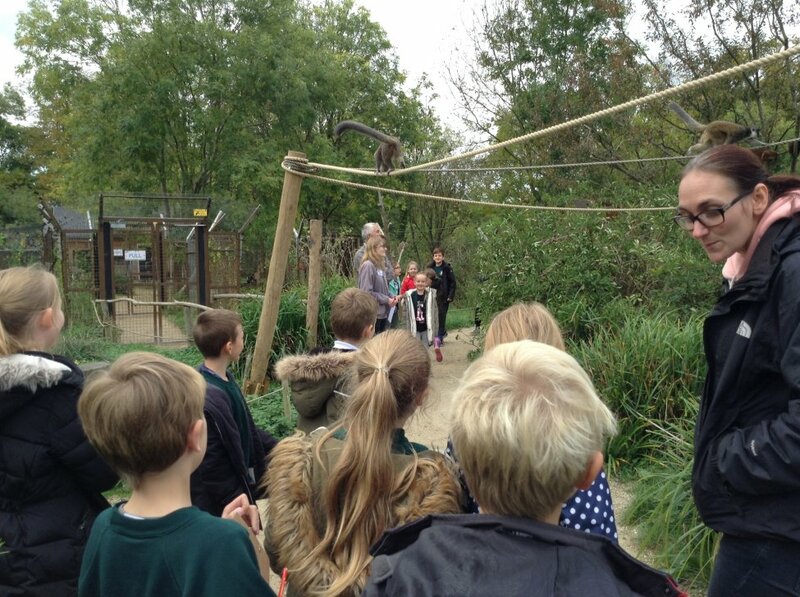 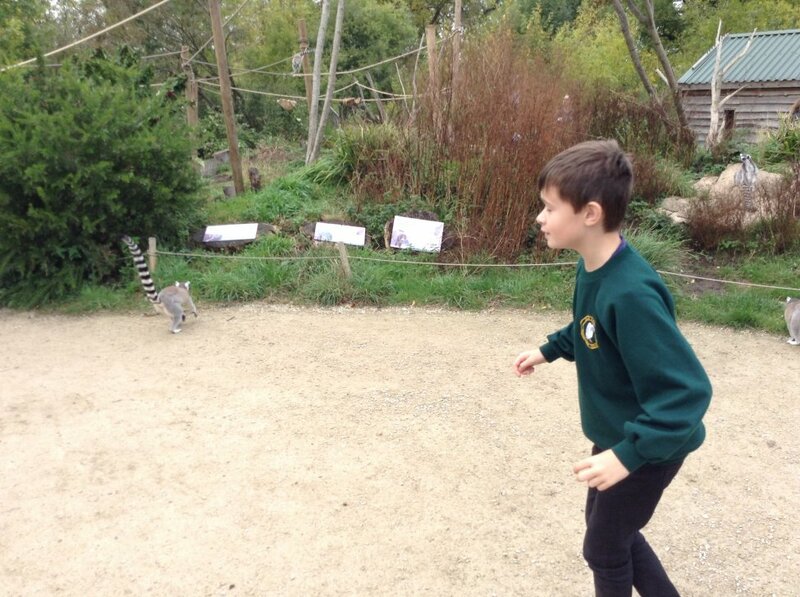 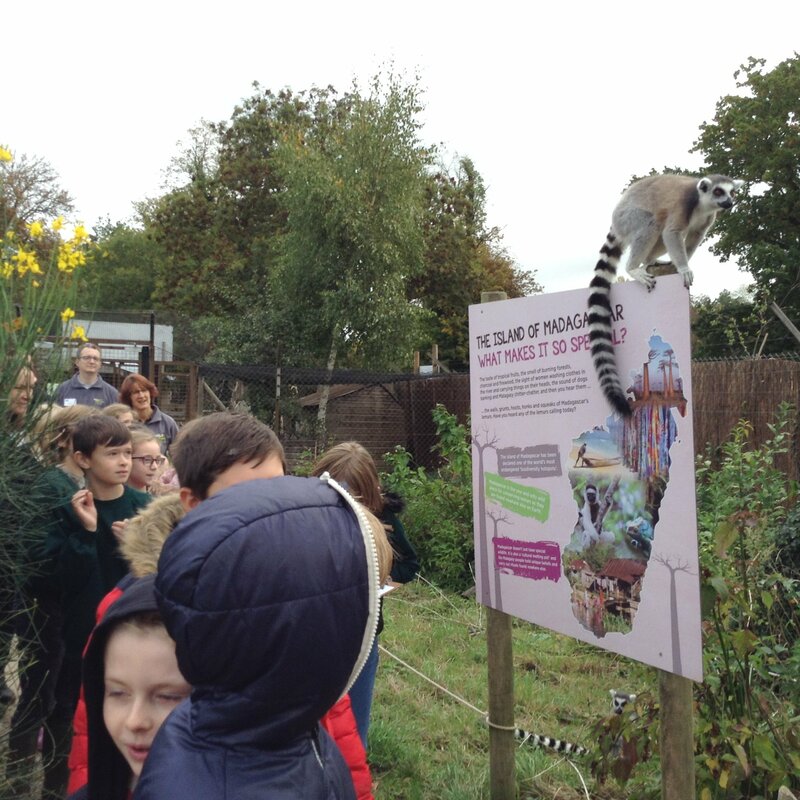 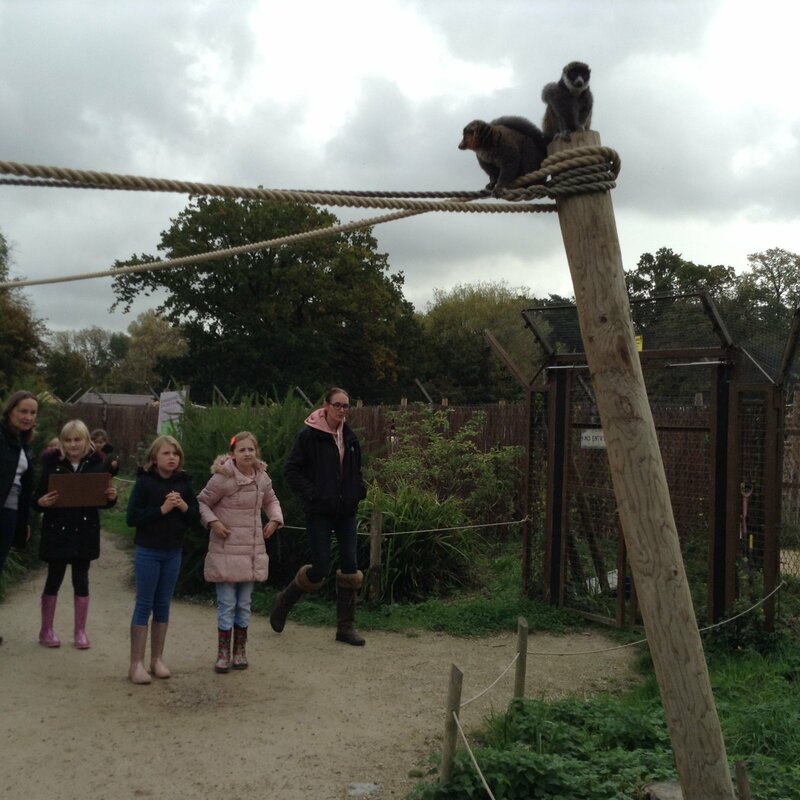 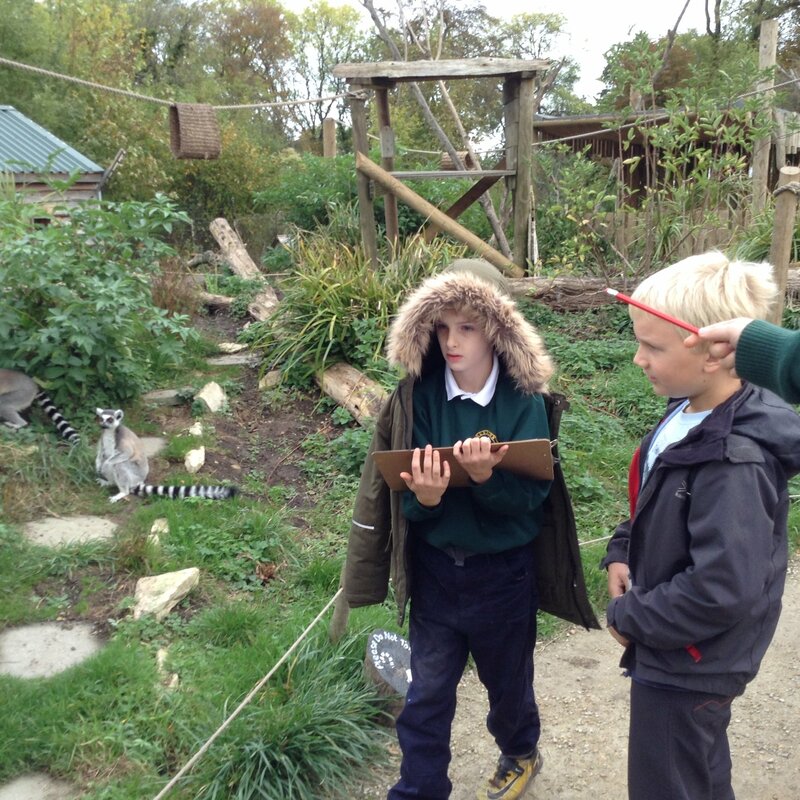 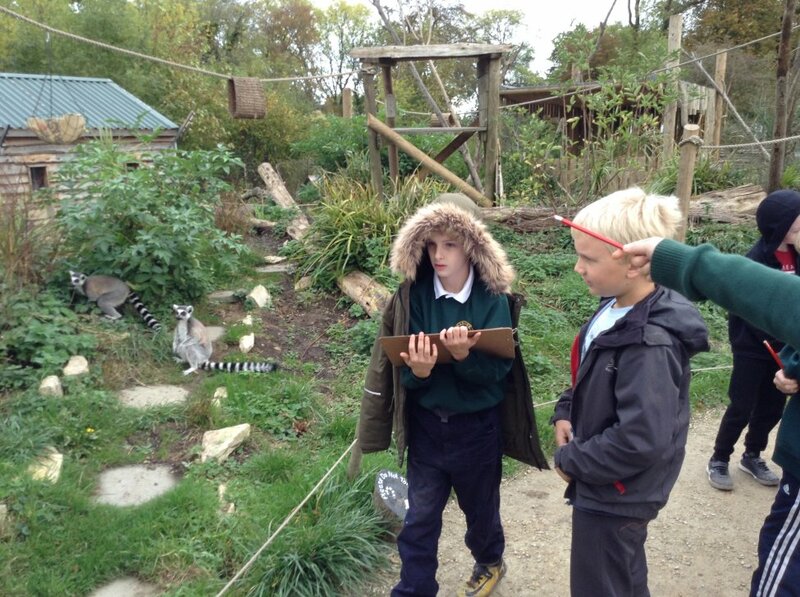 The children got up close to the mischievous lemurs whilst learning about why they are an endangered species and considering what life is like for them in captivity. 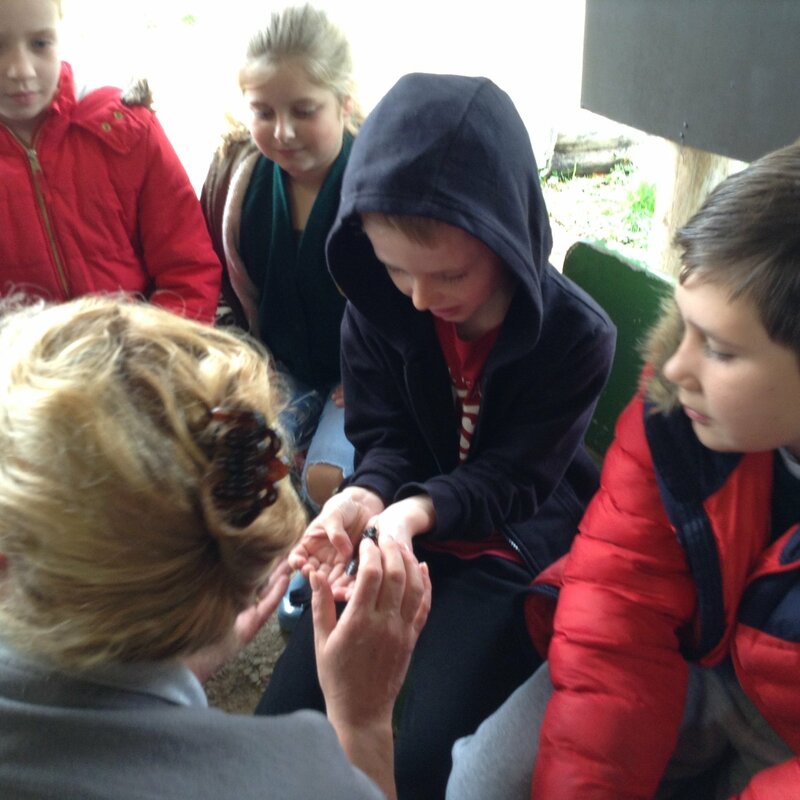 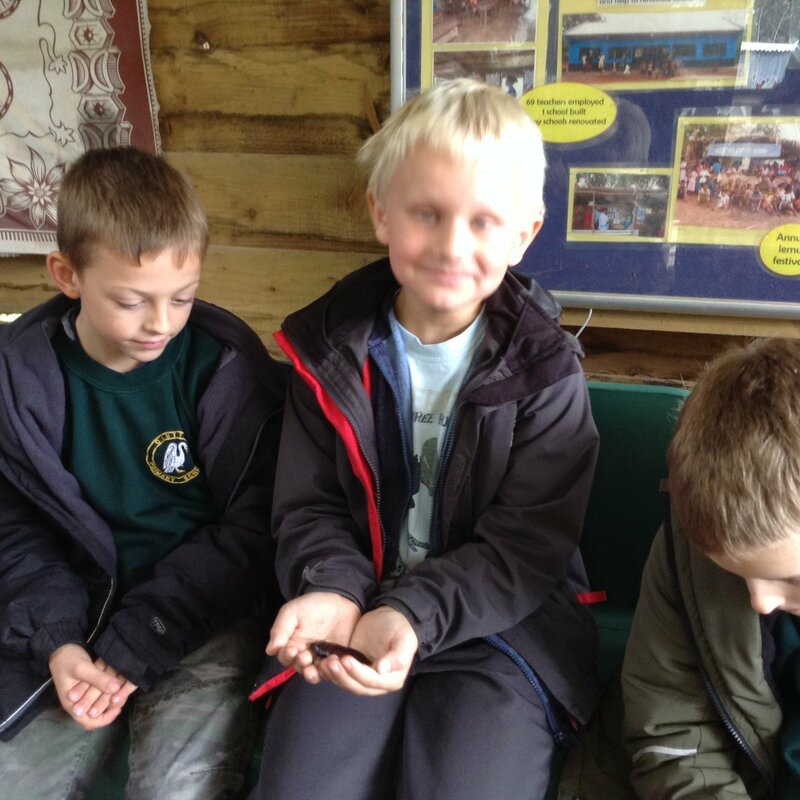 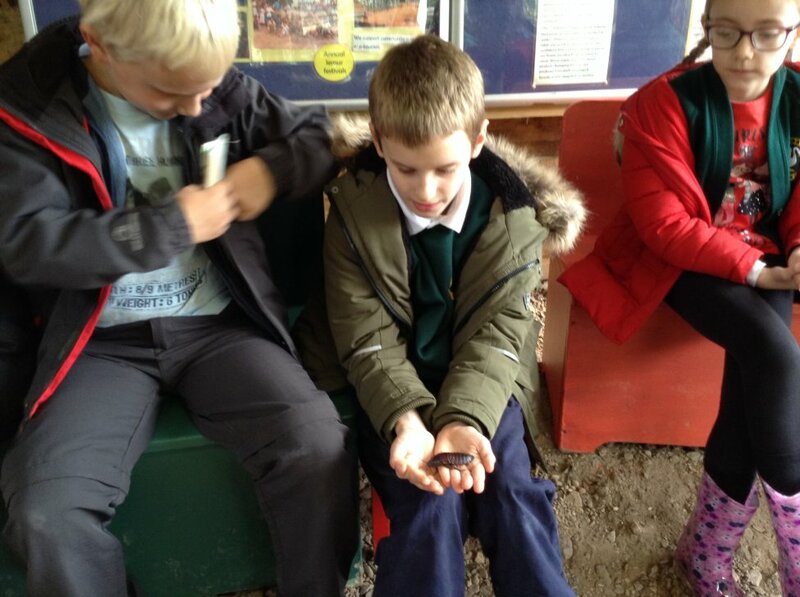 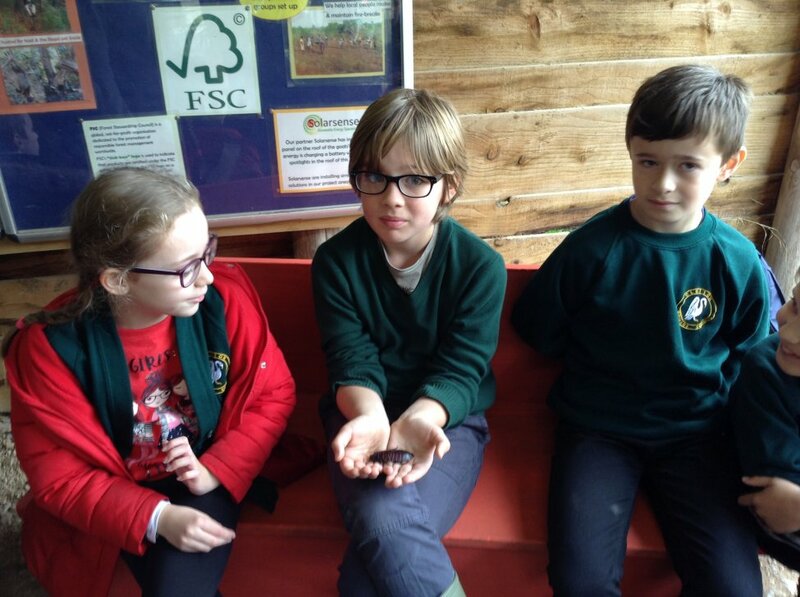 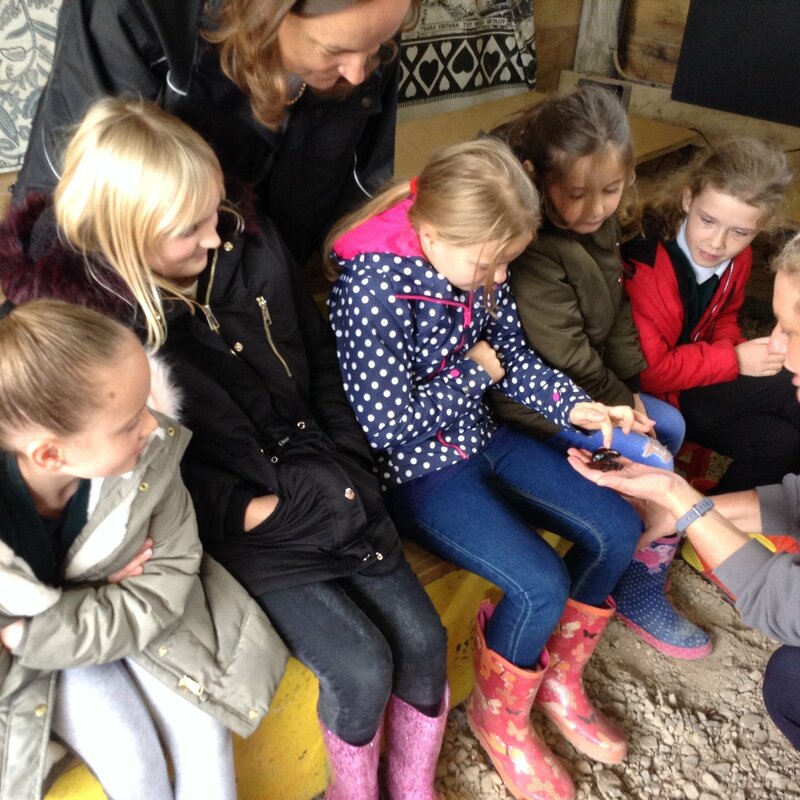 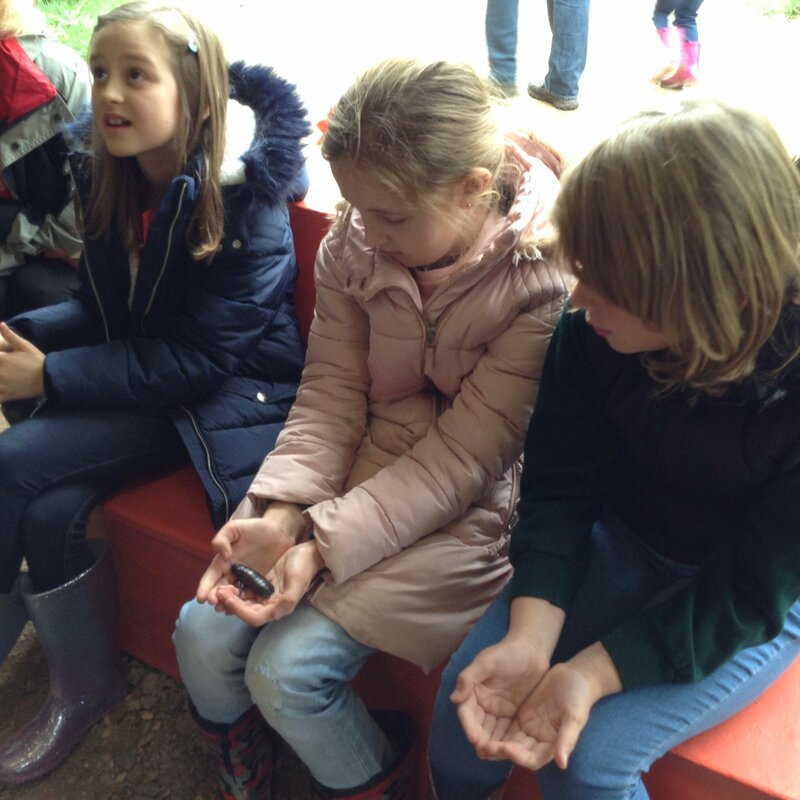 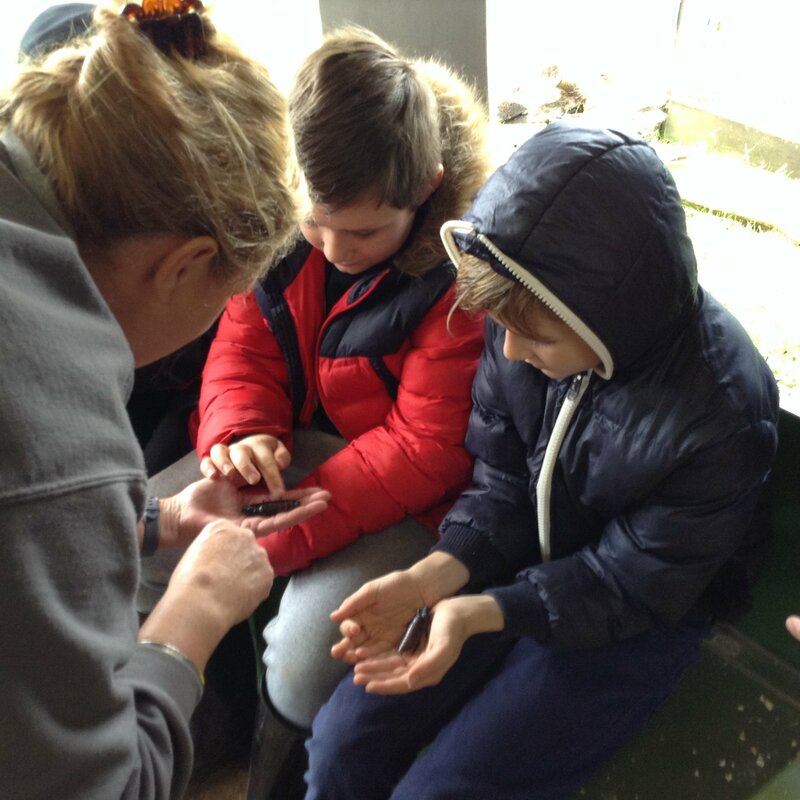 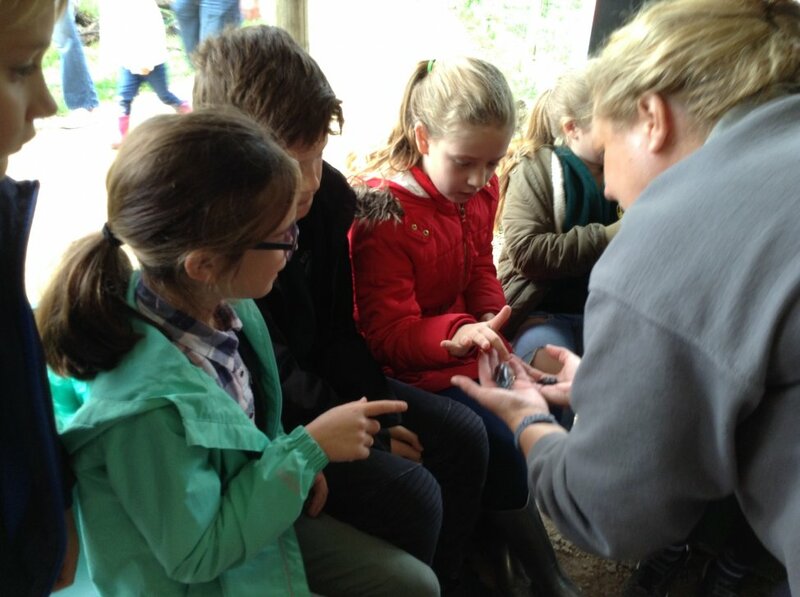 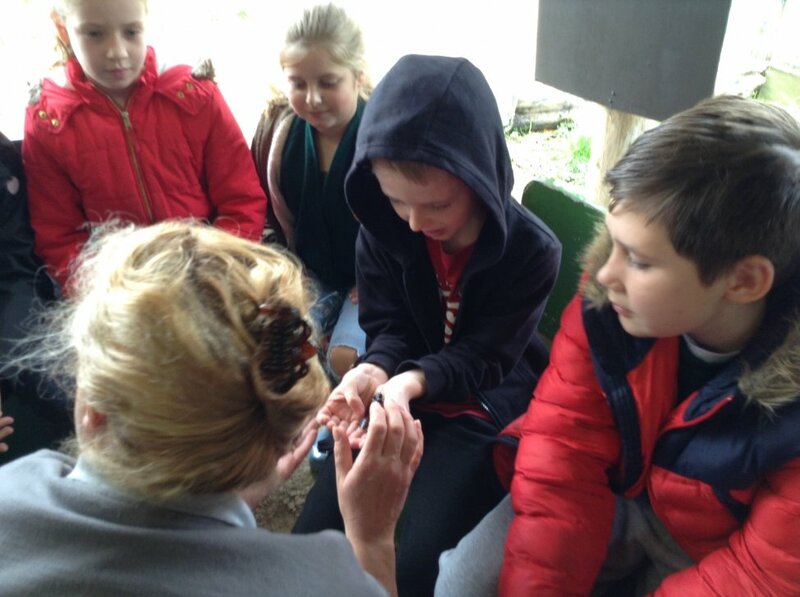 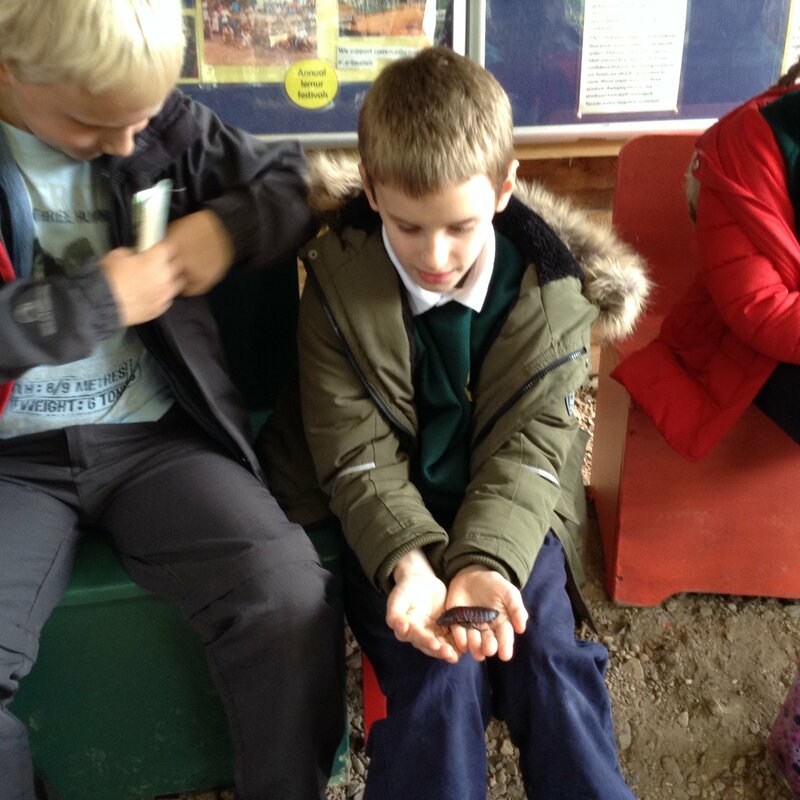 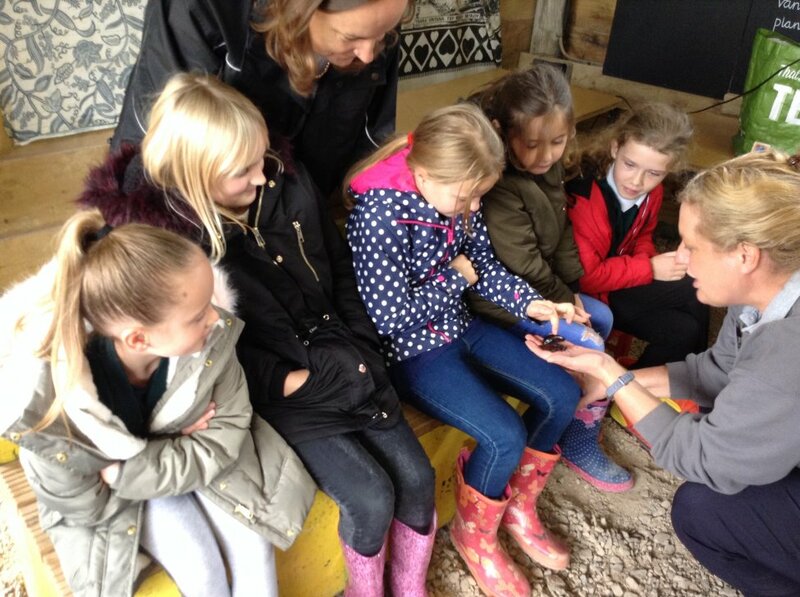 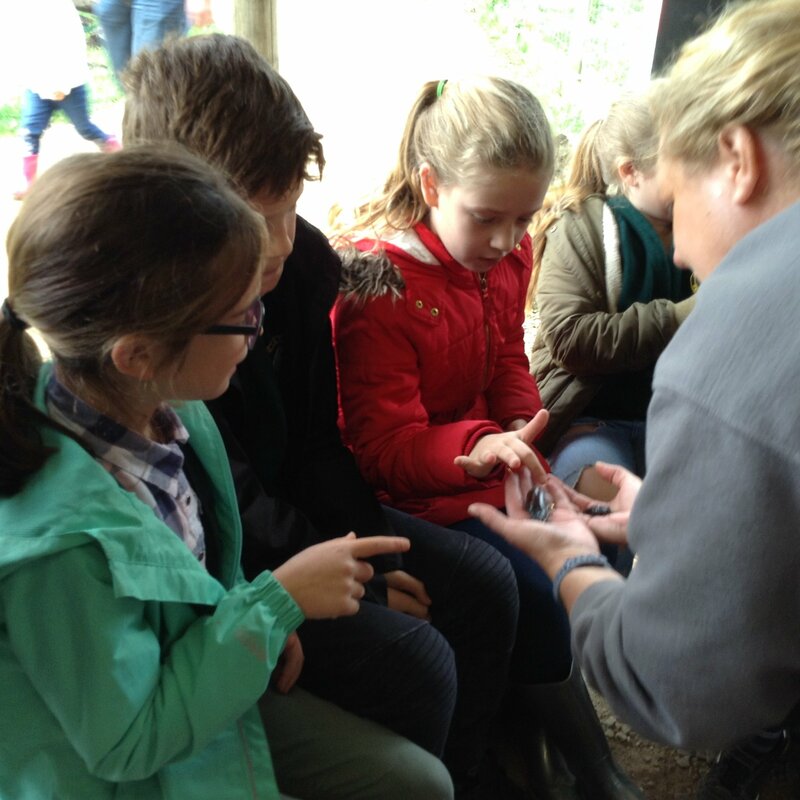 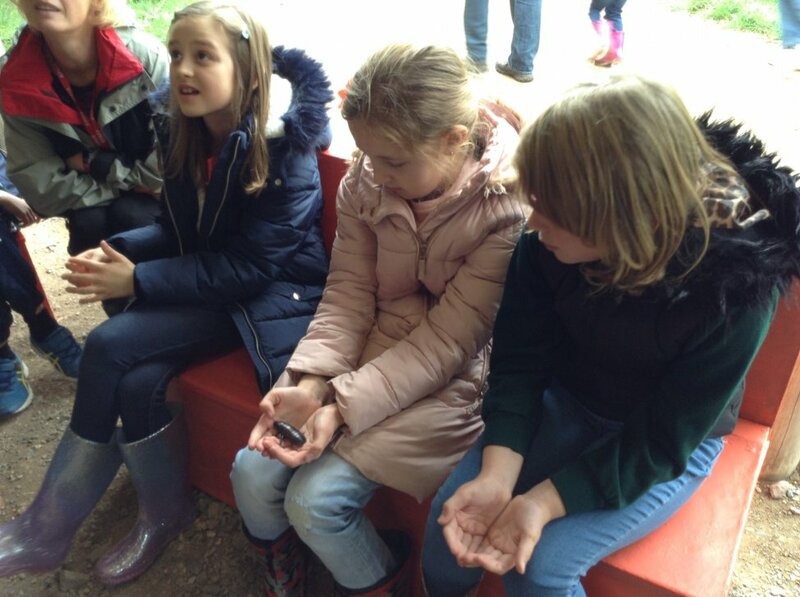 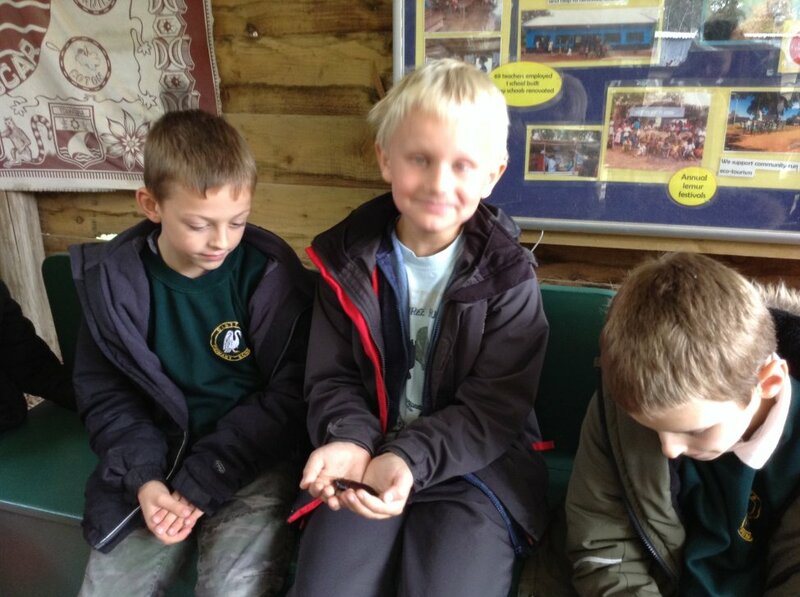 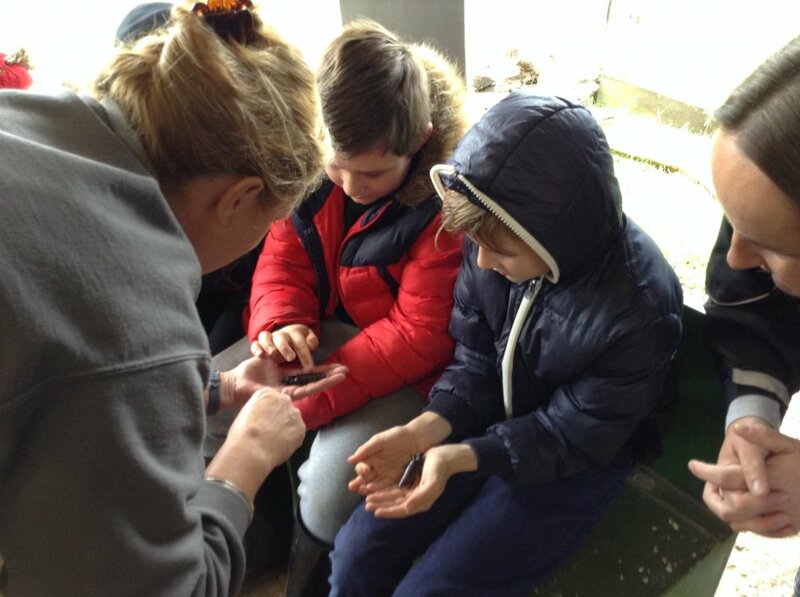 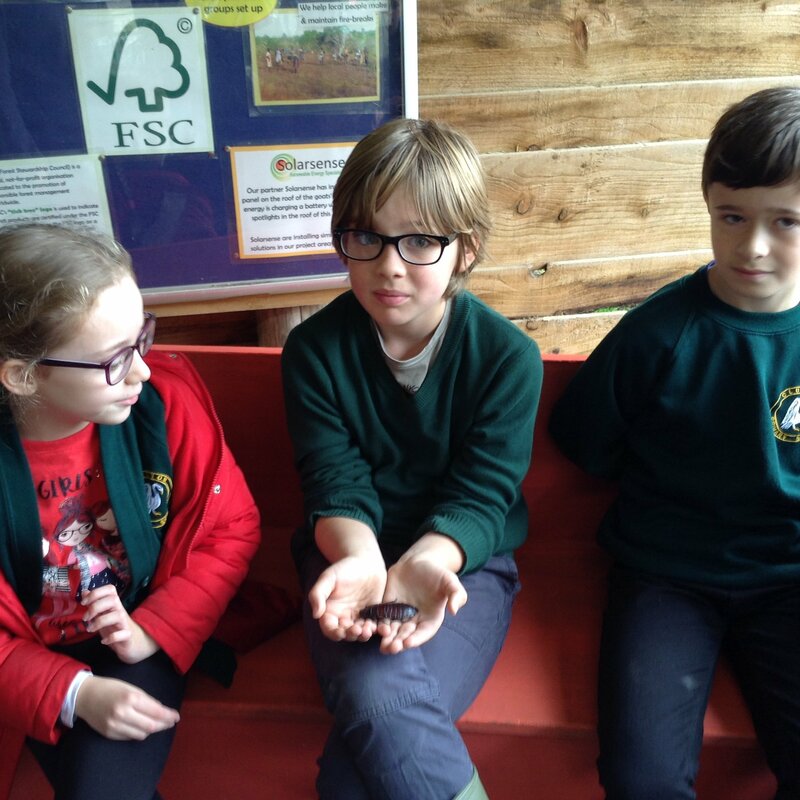 Some children were brave enough to hold a cockroach and others gave them a little stroke! 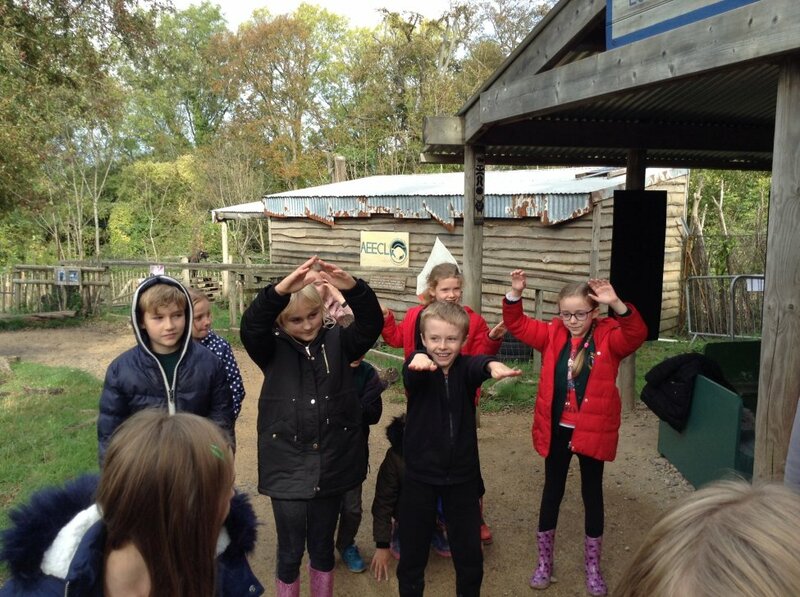 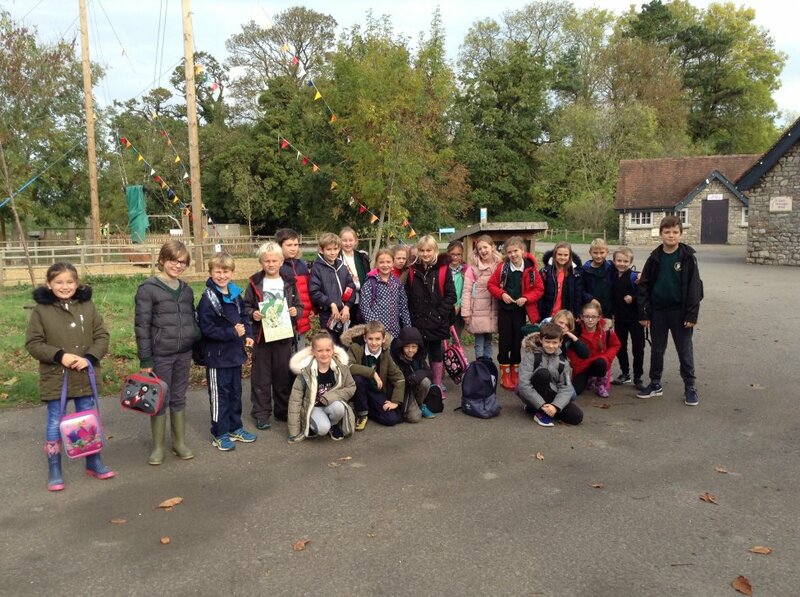 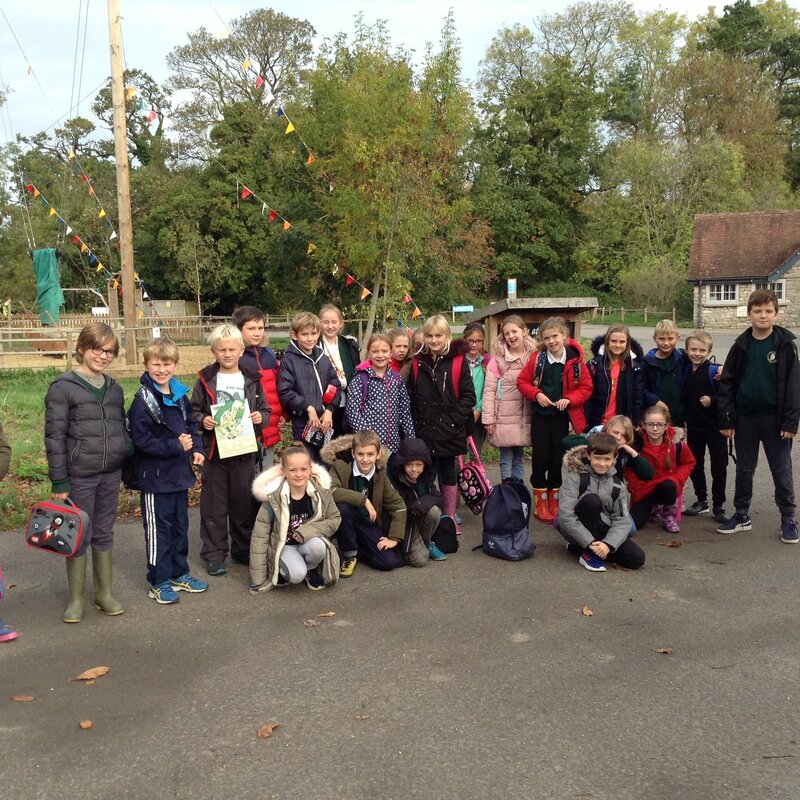 A big well done to all the children for their brilliant behaviour and for showing the team at the Wild Place how polite, friendly and curious you all are. 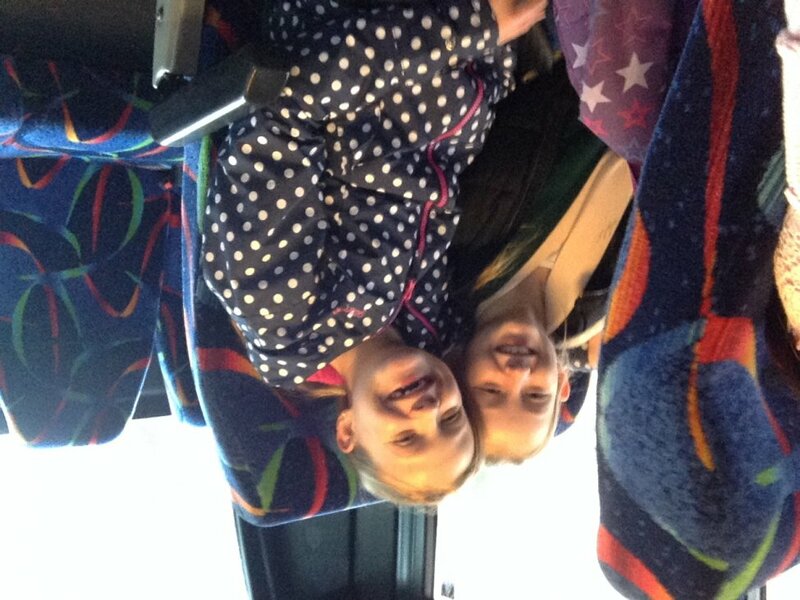 Finally, a big thank you to Michelle and Hannah for coming along and helping the day run smoothly. 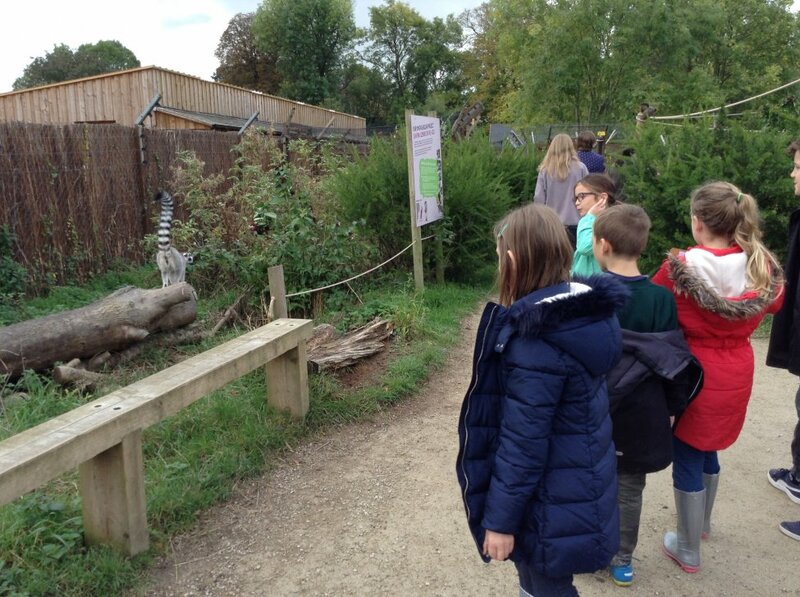 "My favourite part of the day was seeing the giraffes and zebras." 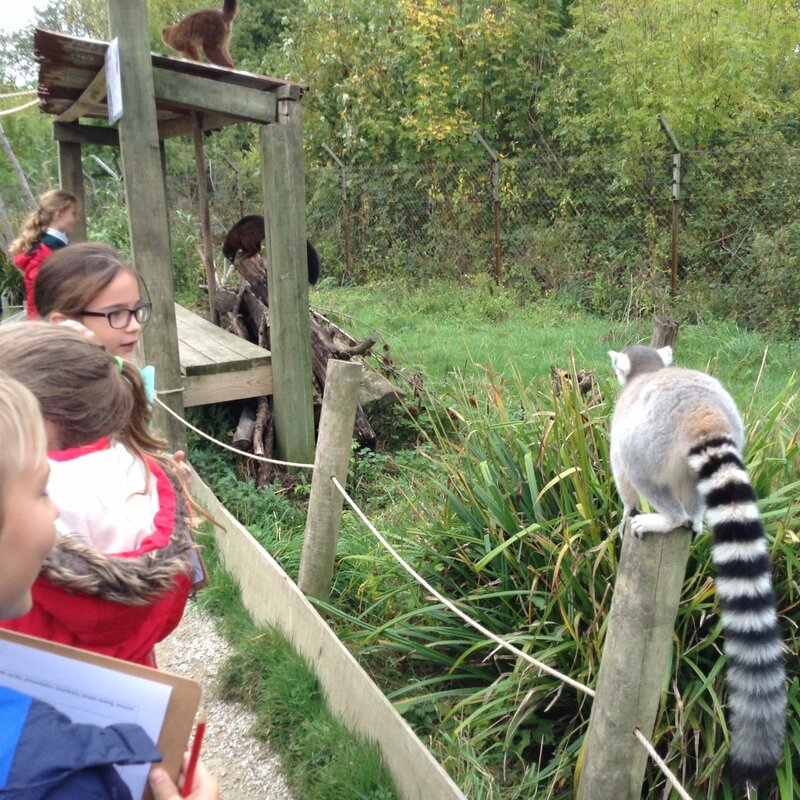 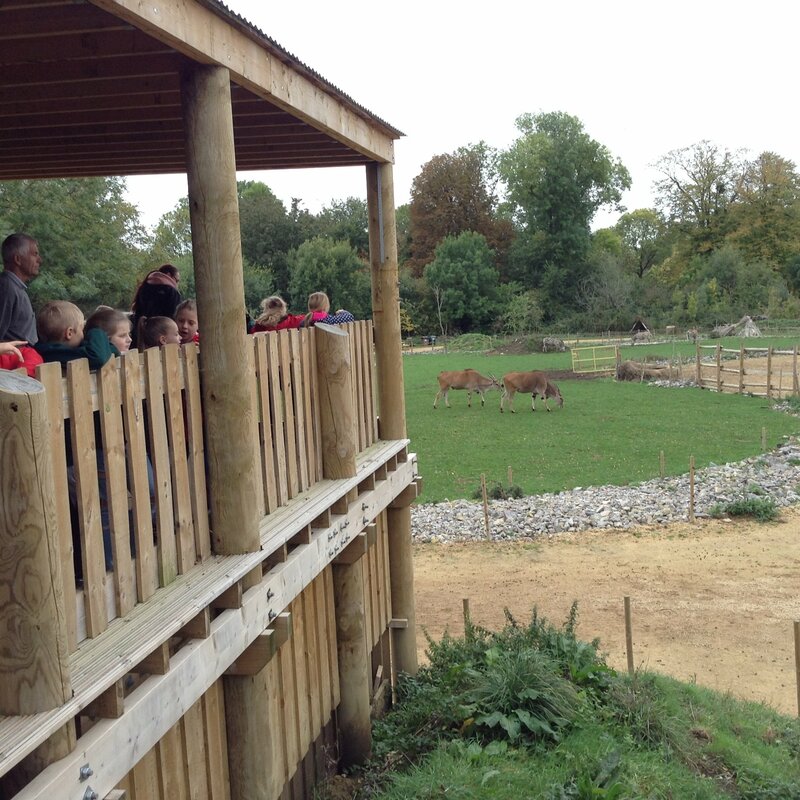 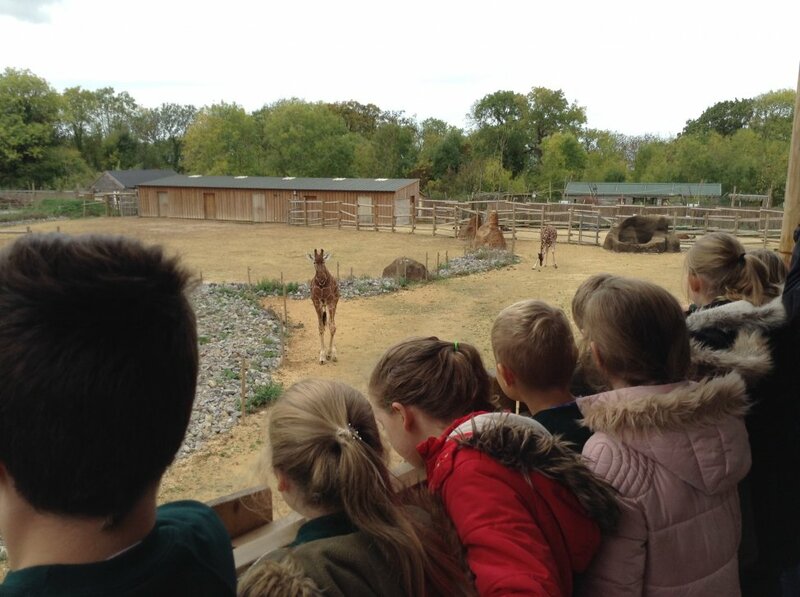 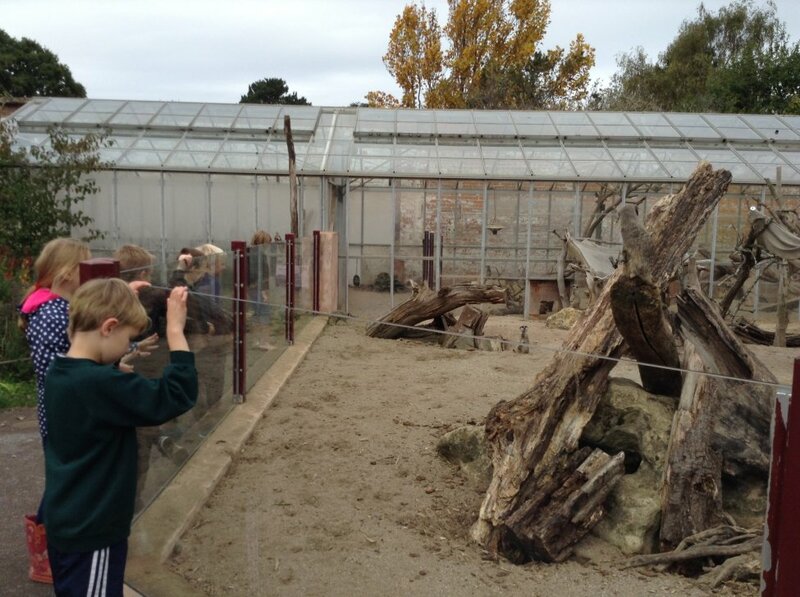 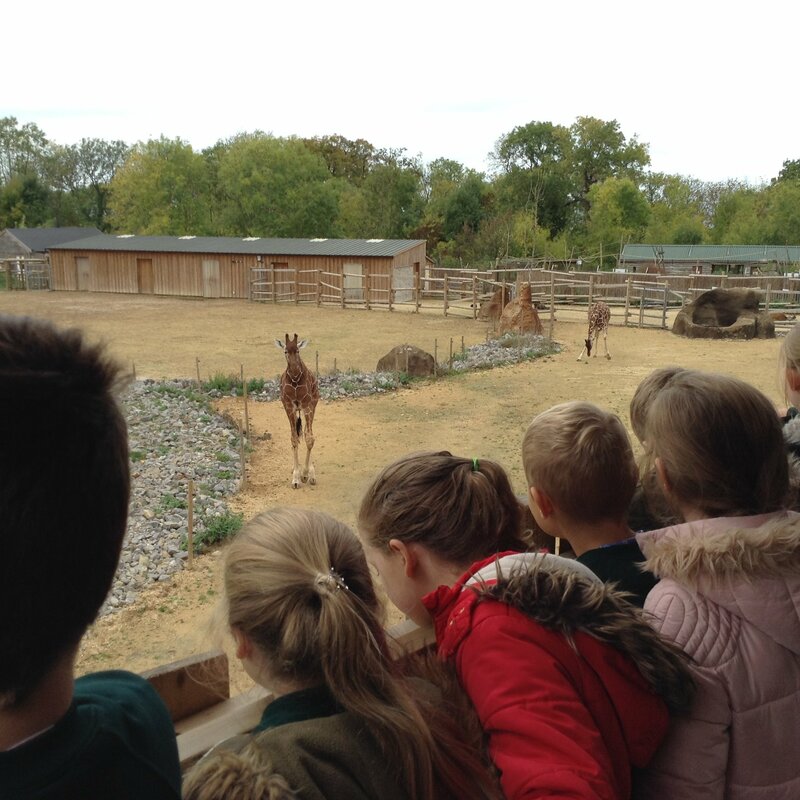 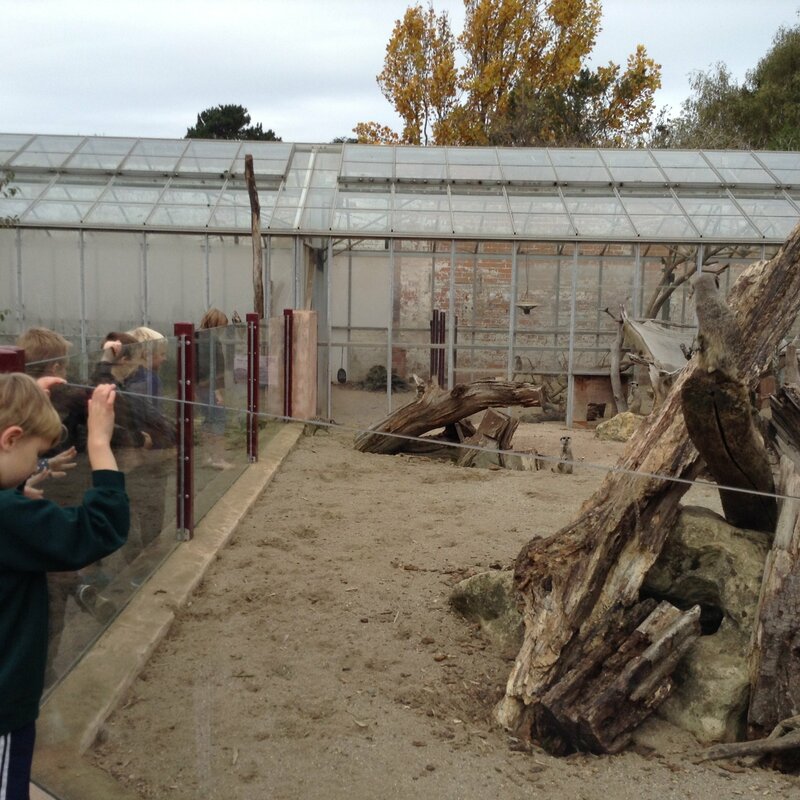 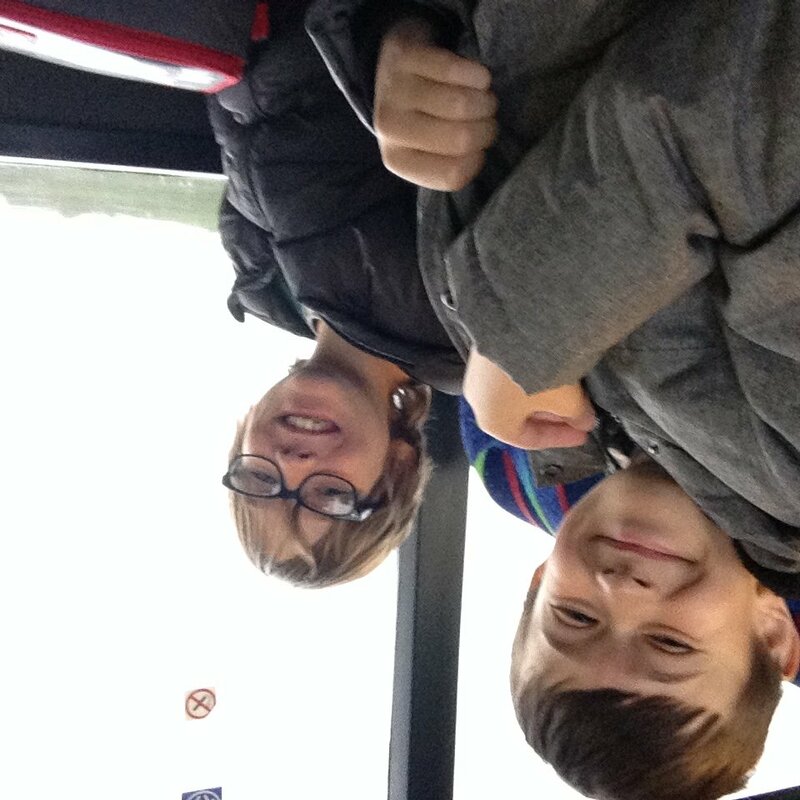 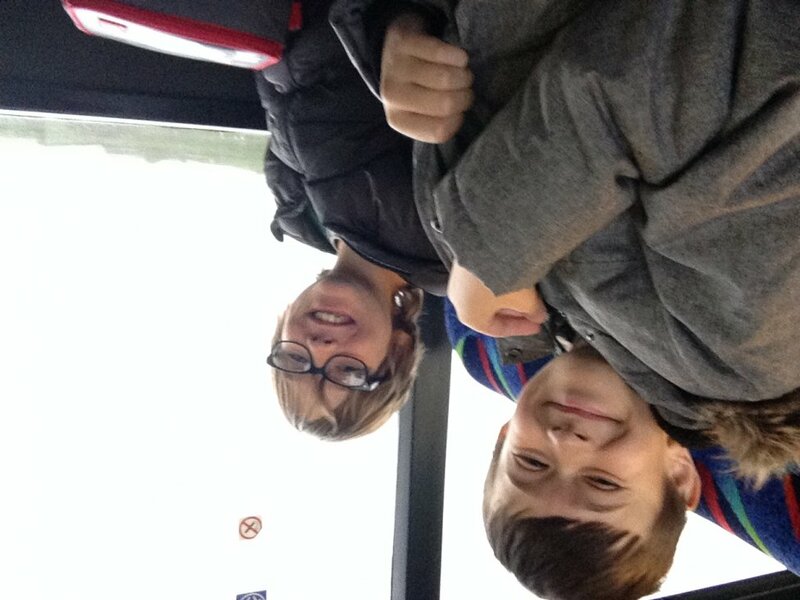 "My favourite part was seeing the giraffes and lemurs because they were cute." 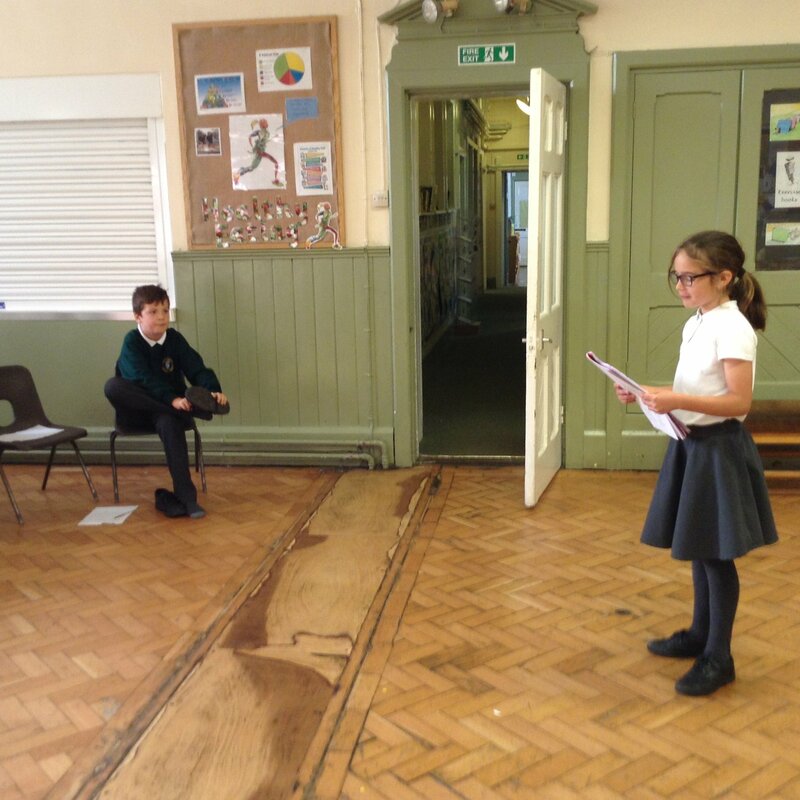 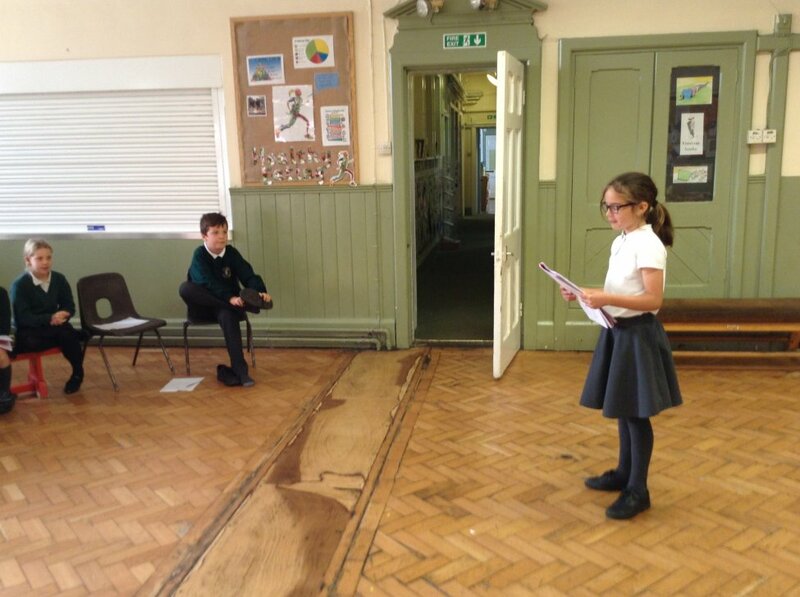 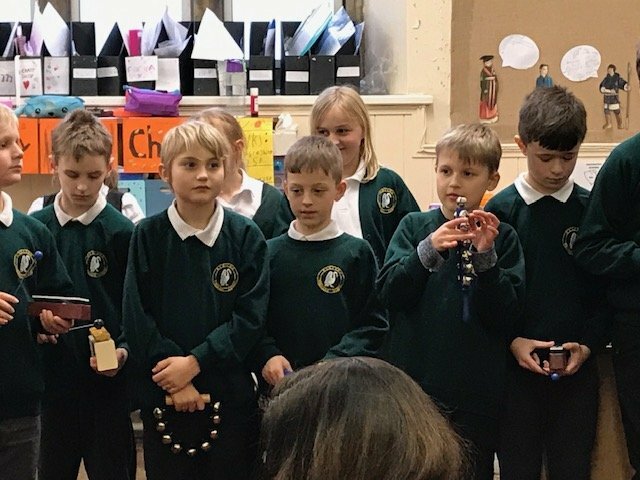 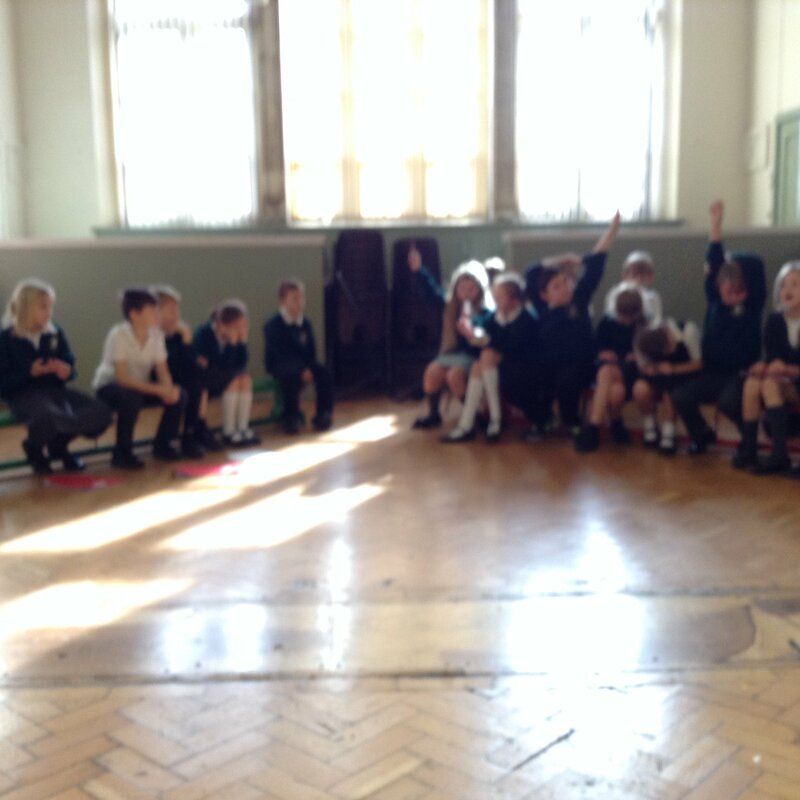 As the end of term grew closer, Sycamore Class participated in a class debate as to whether animals should be kept in captivity. 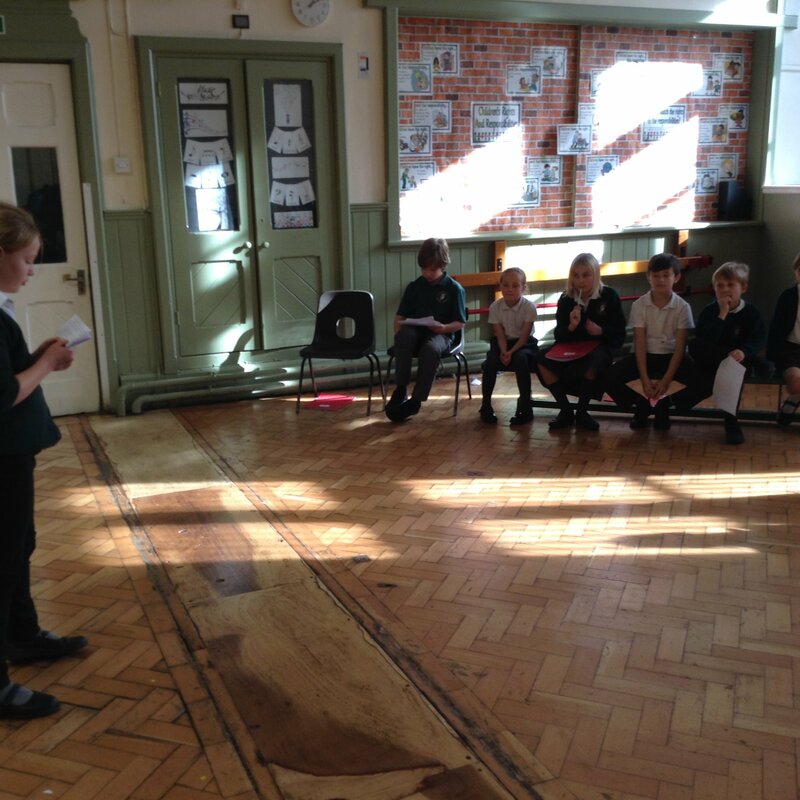 The proposing team were led by Megan and Stan whilst the opposing team were led by Daisy and Jared. 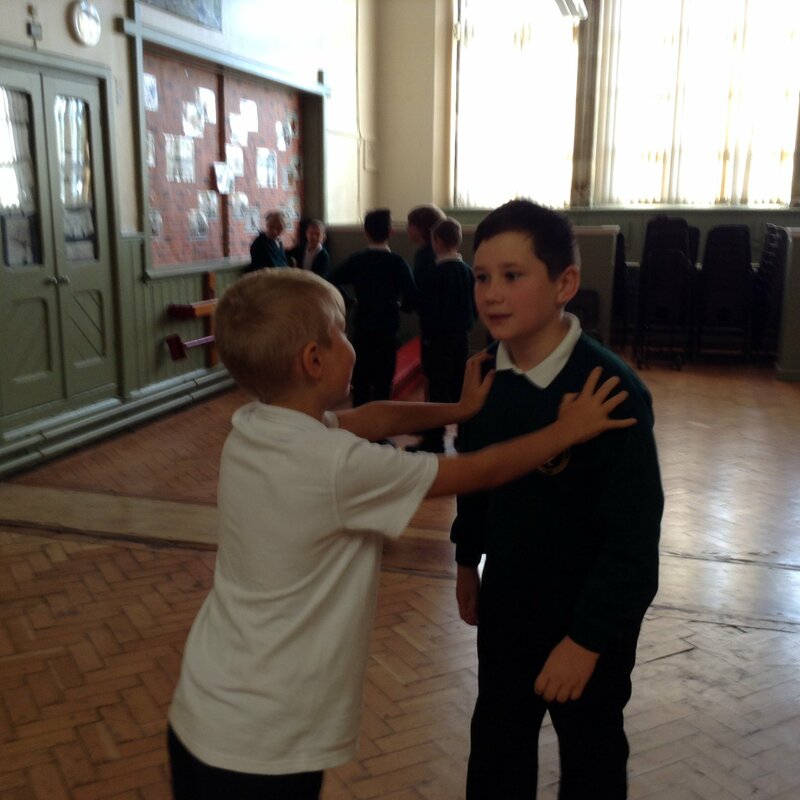 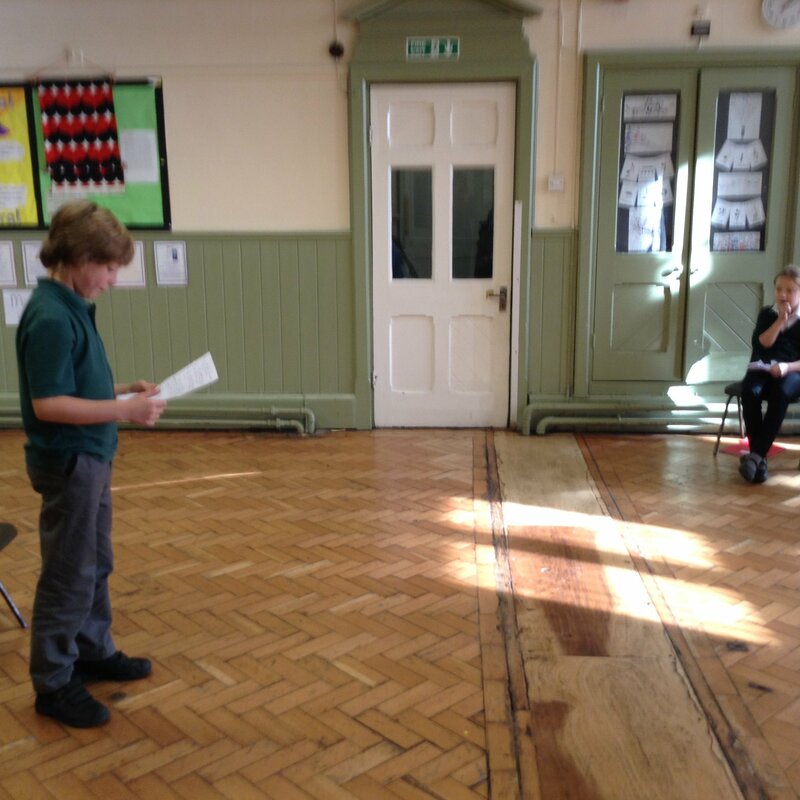 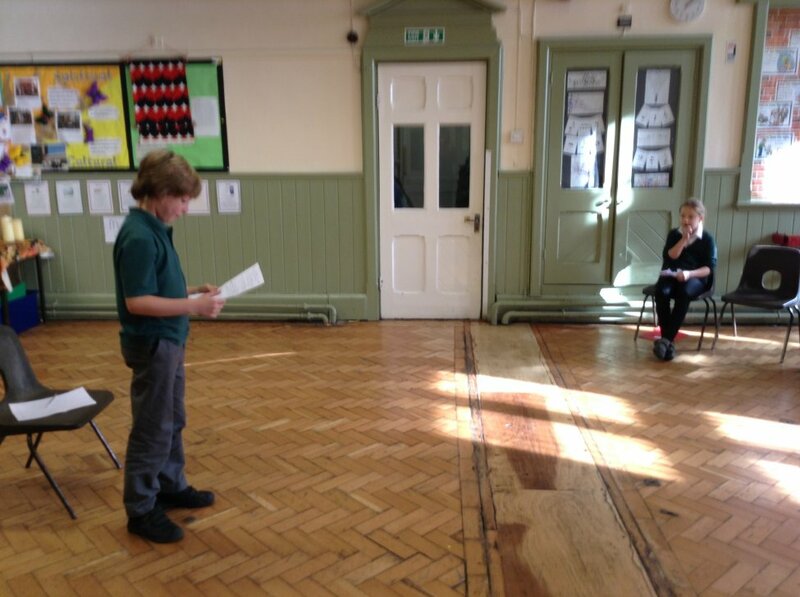 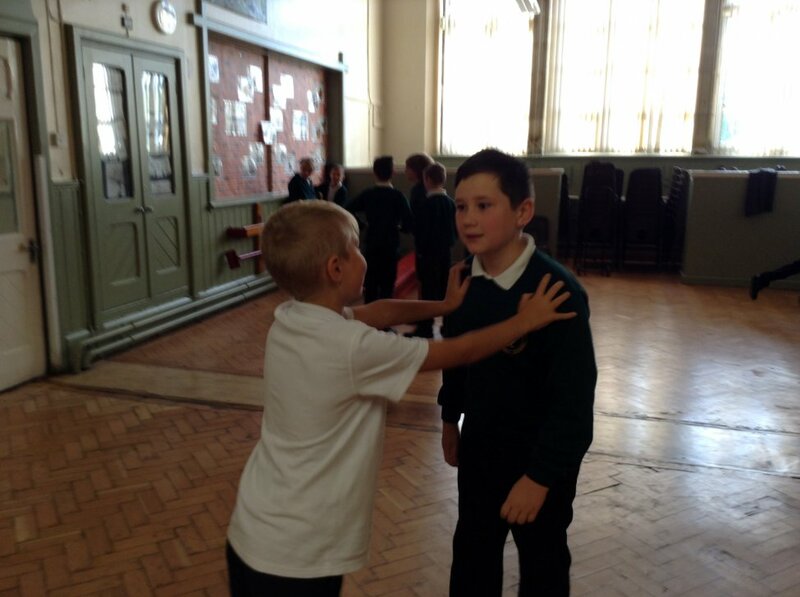 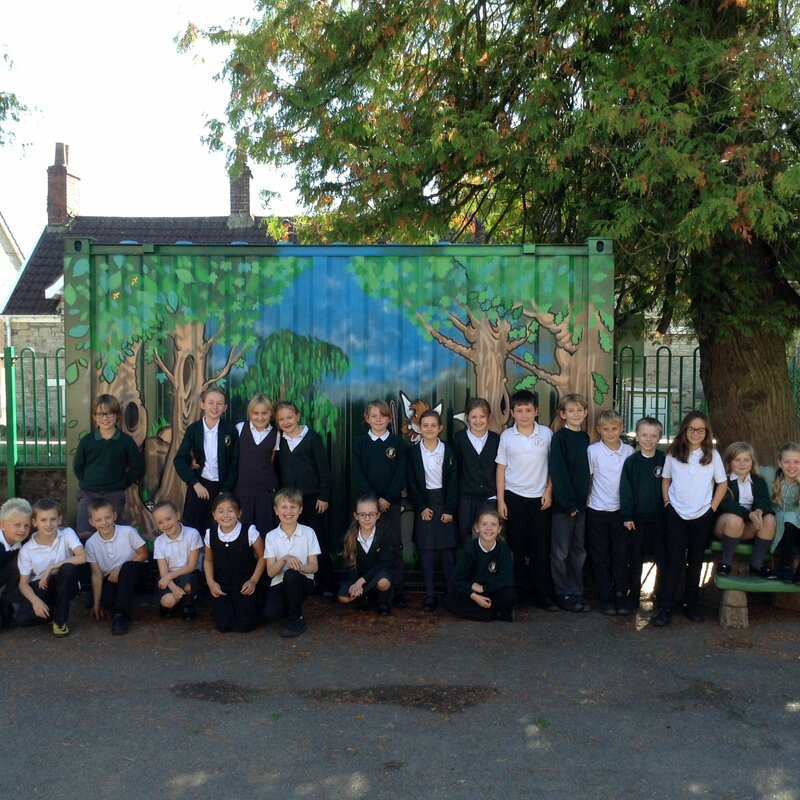 All the children helped to build a strong argument each and all children contributed during the debate. 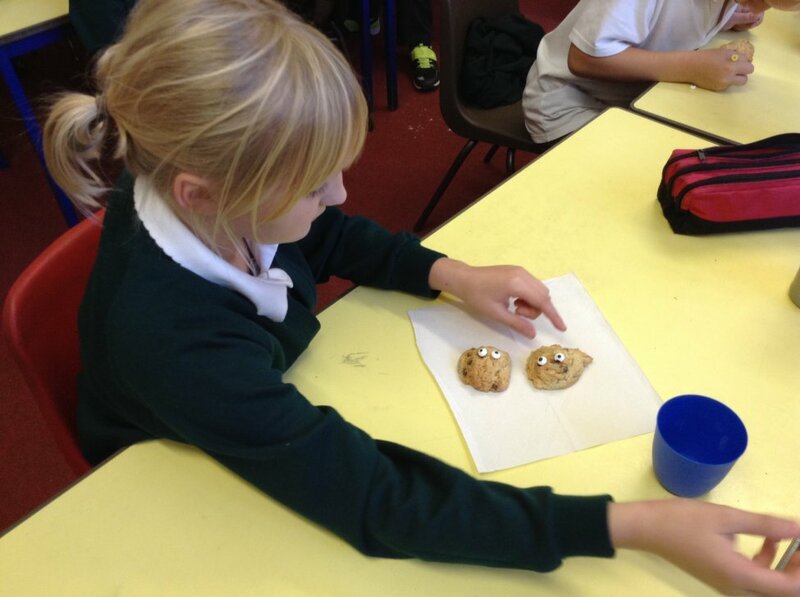 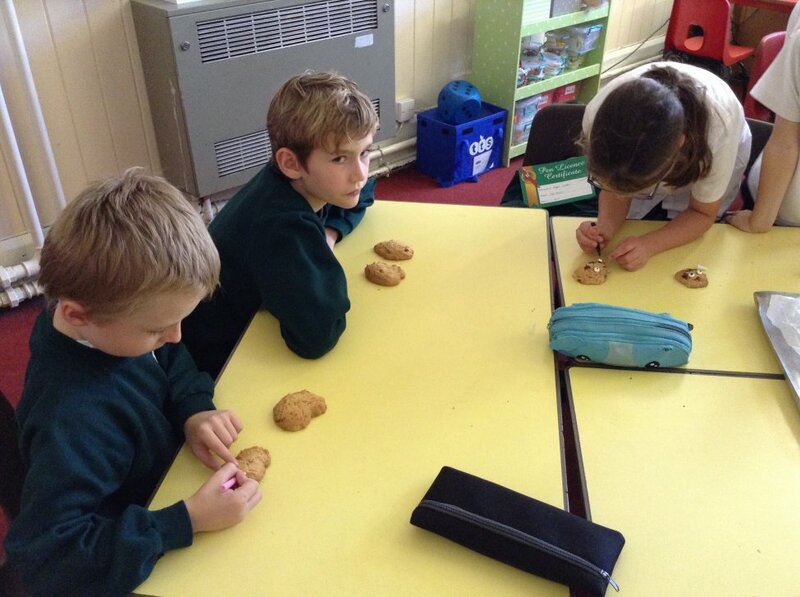 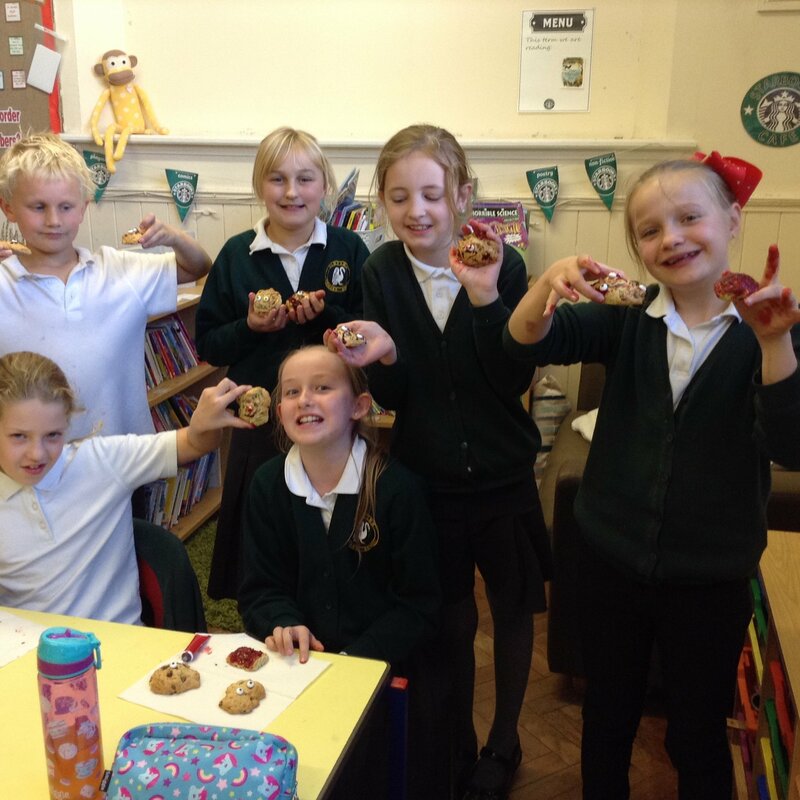 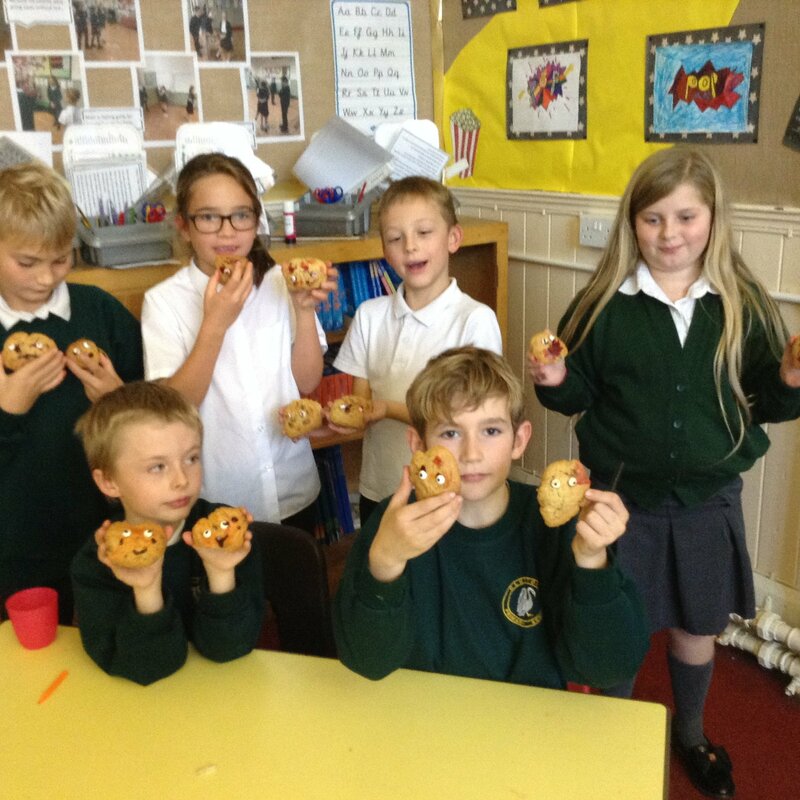 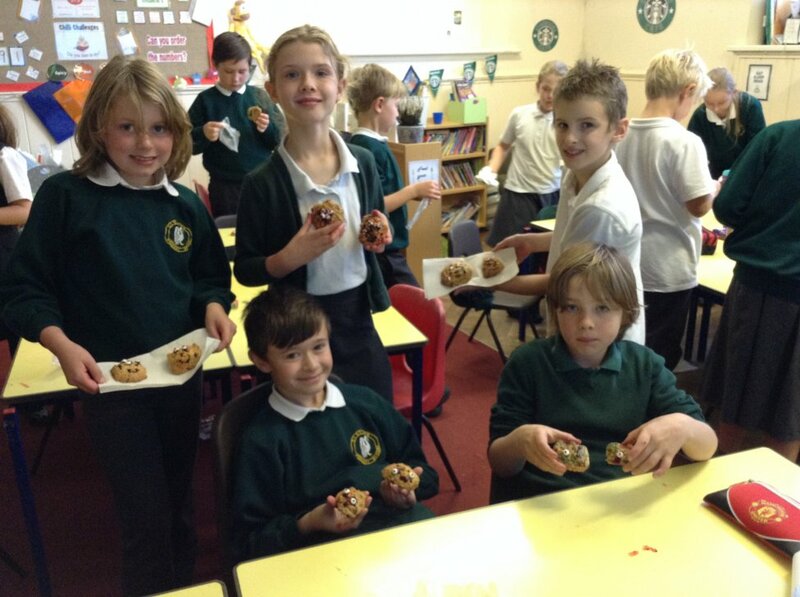 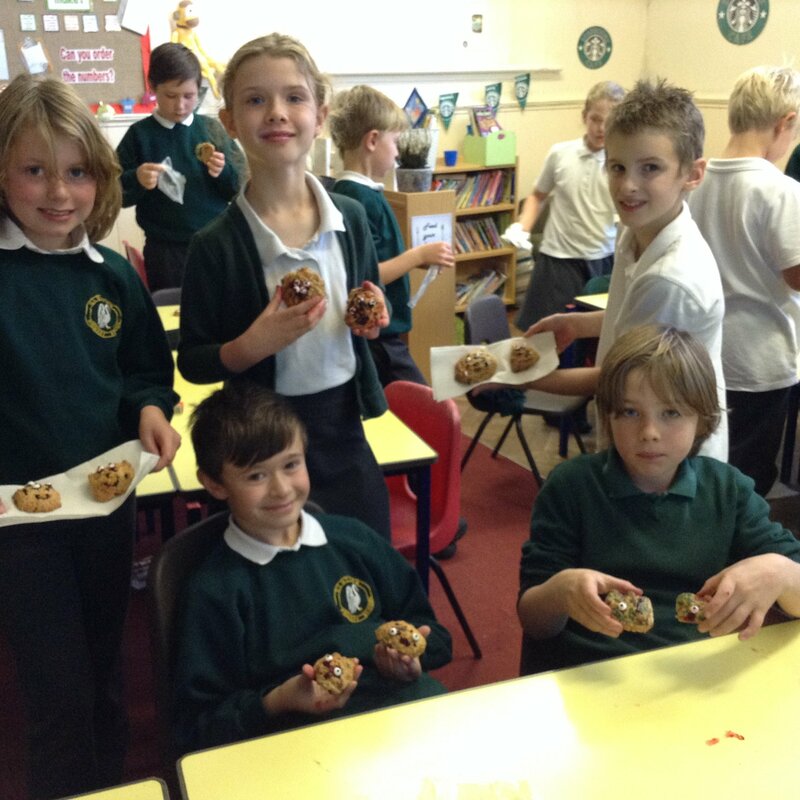 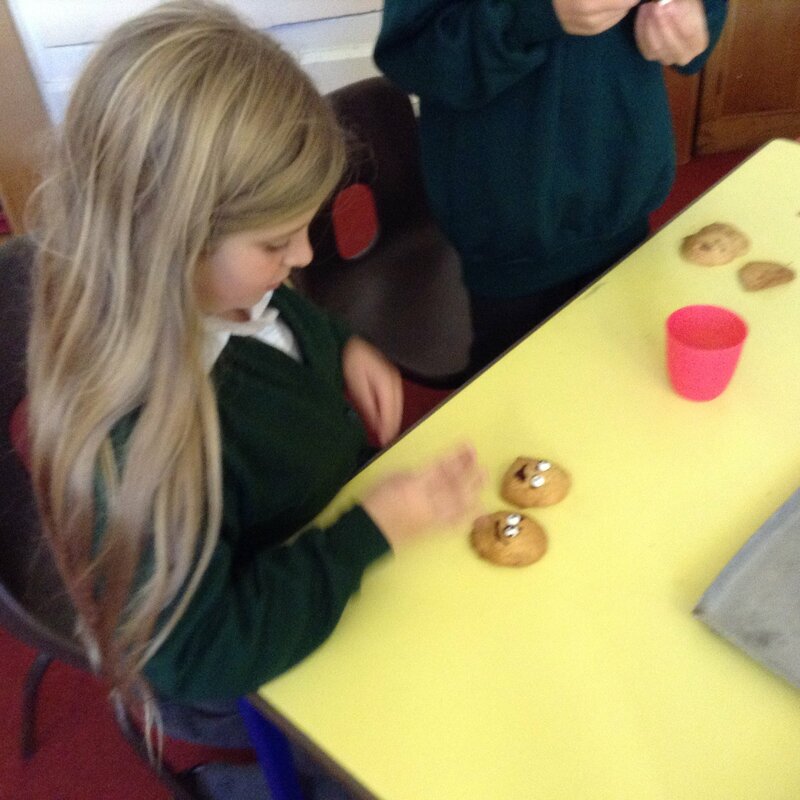 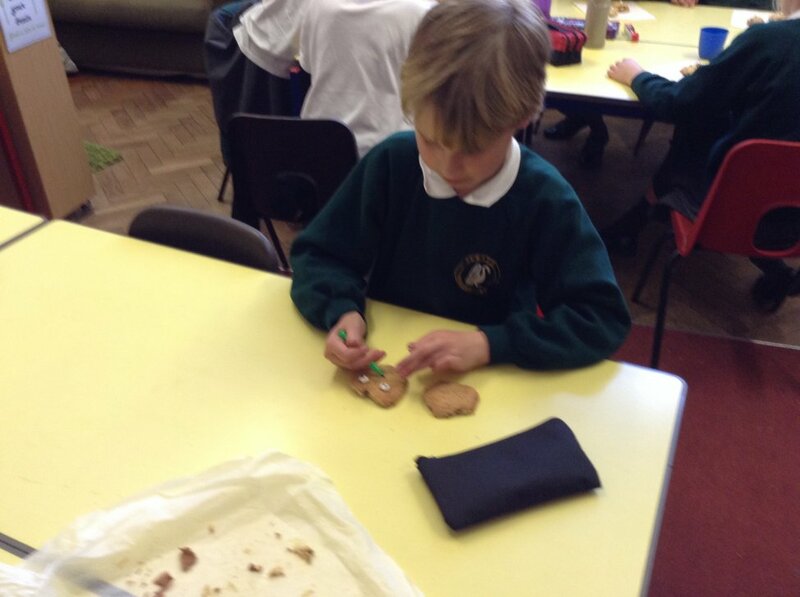 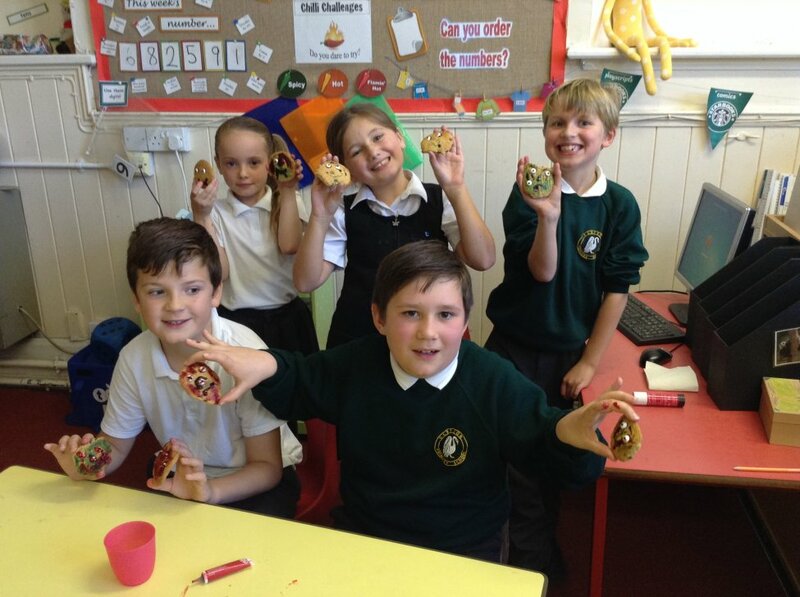 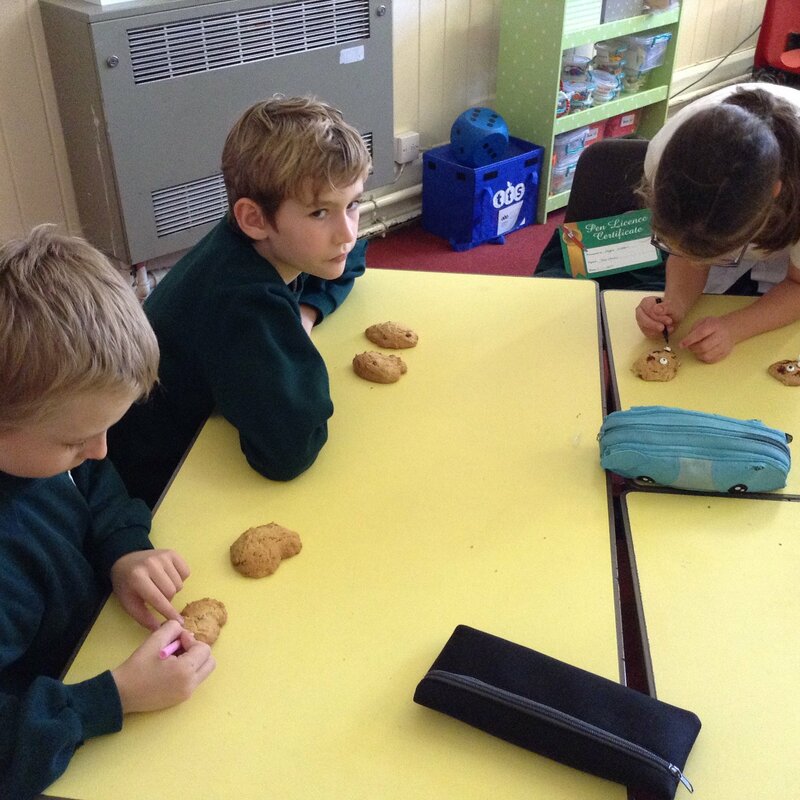 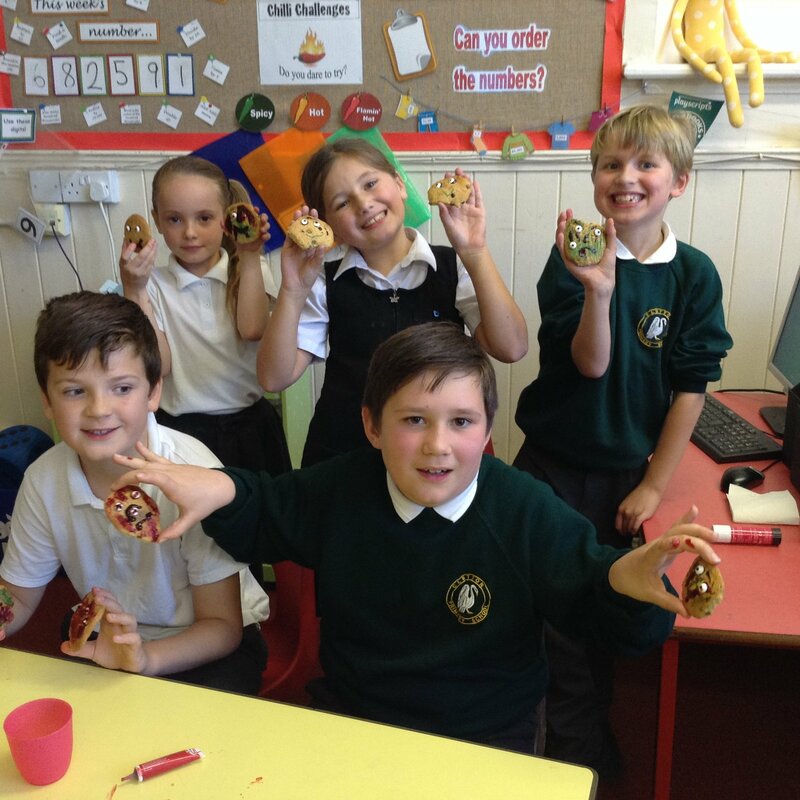 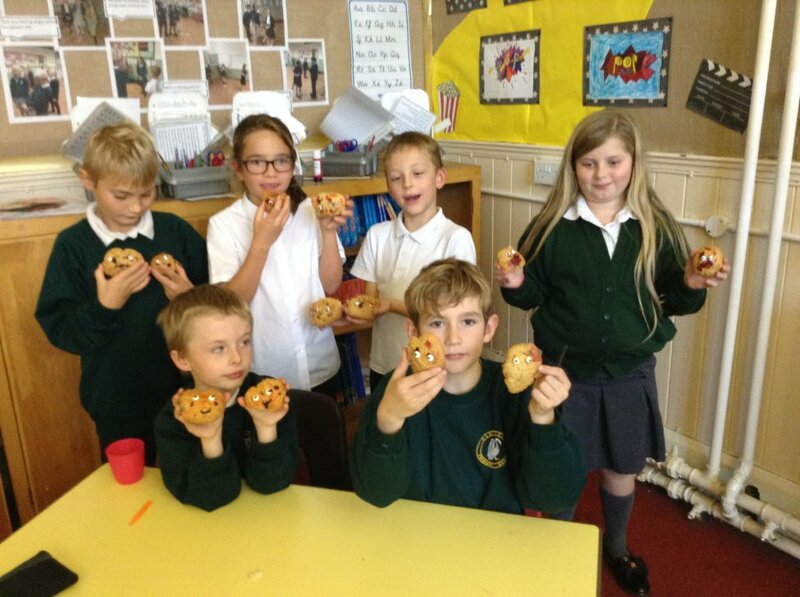 We also enjoyed some Halloween themed activities, such as making zombie cookies and a Halloween Scavenger Hunt. 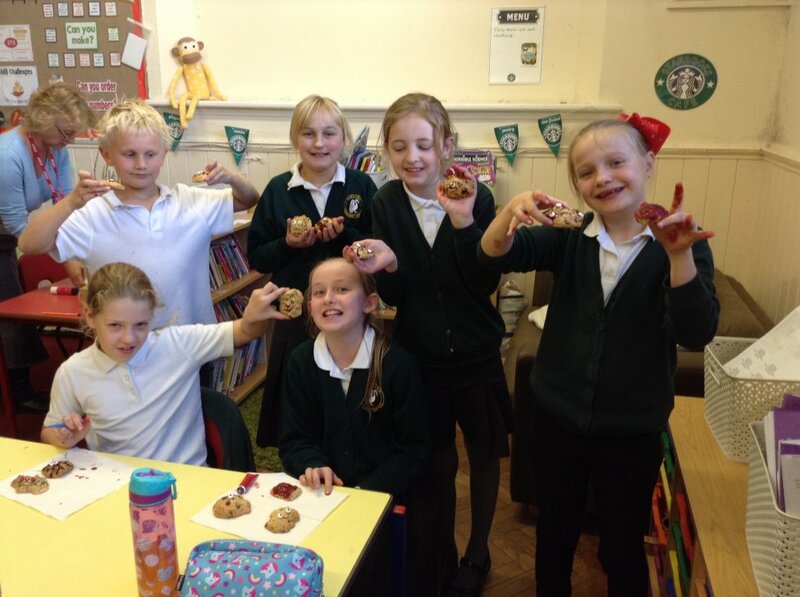 A big thank you to Freya, who kindly made us all some wonderful and delicious cakes! 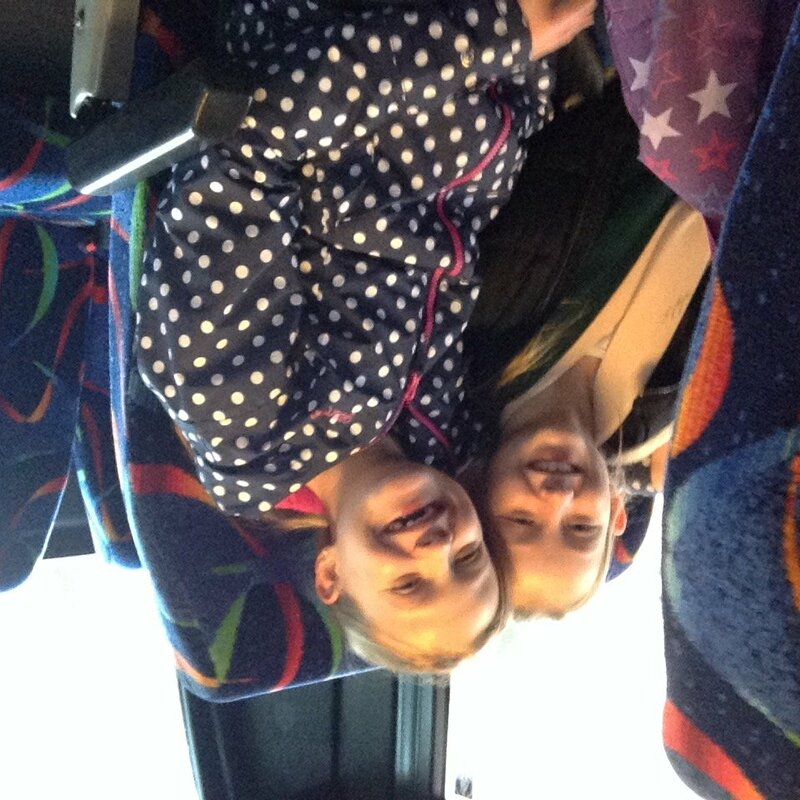 What a great start to the school year! 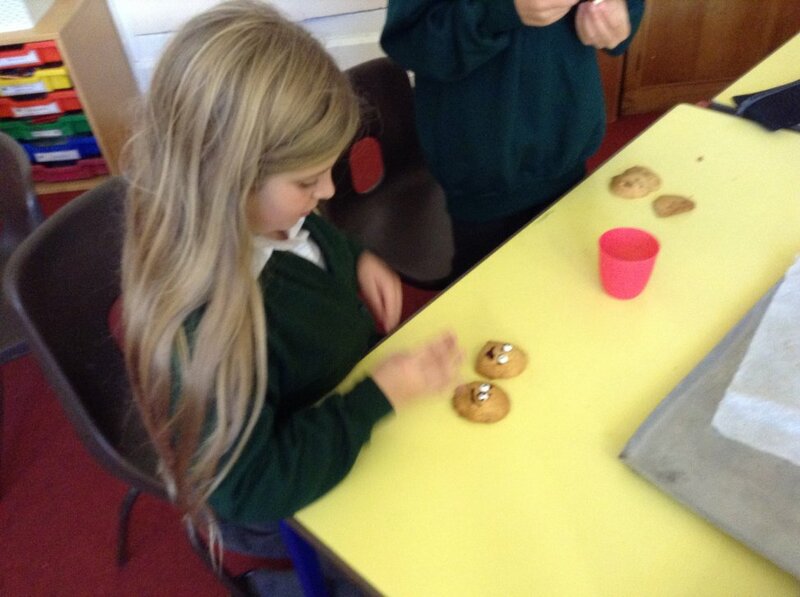 It has been lovely to see the children showing great attitudes towards learning from the offset. 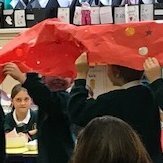 We have been enjoying discussions and role play activities (see pictures) relating to our class story for this term ‘The Midnight Fox’. 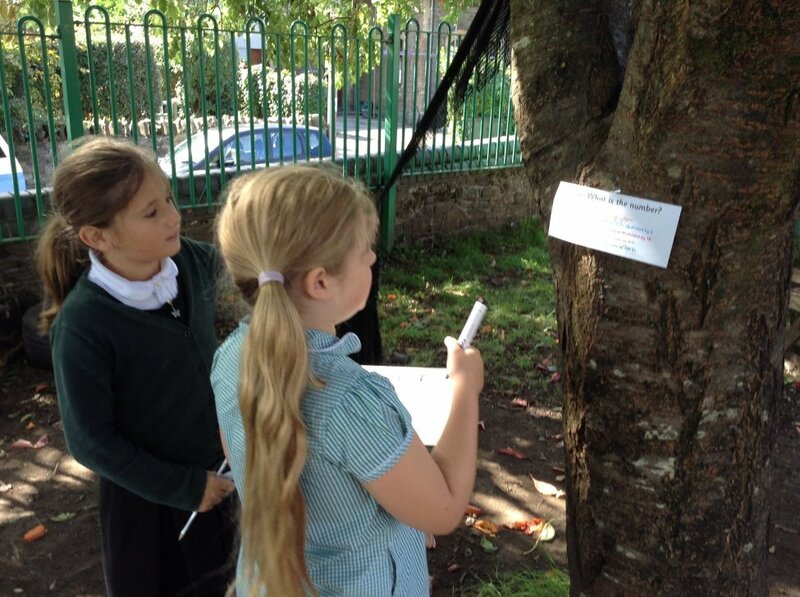 This has helped the children to deepen their understanding of ideas, which has supported their writing. 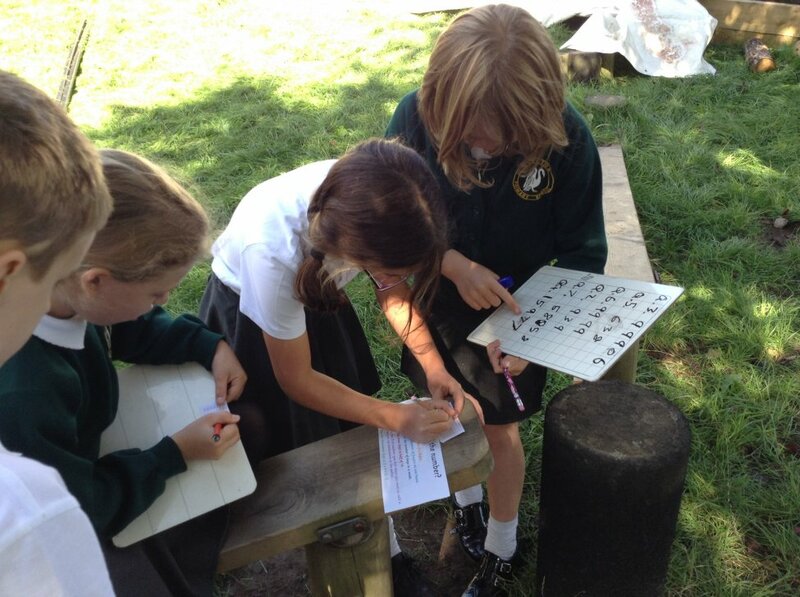 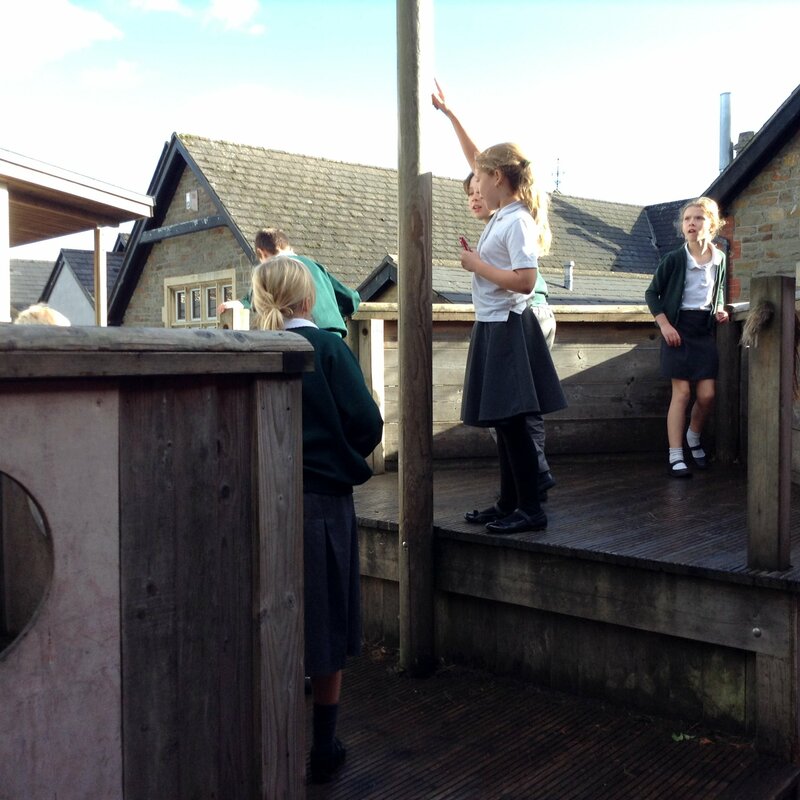 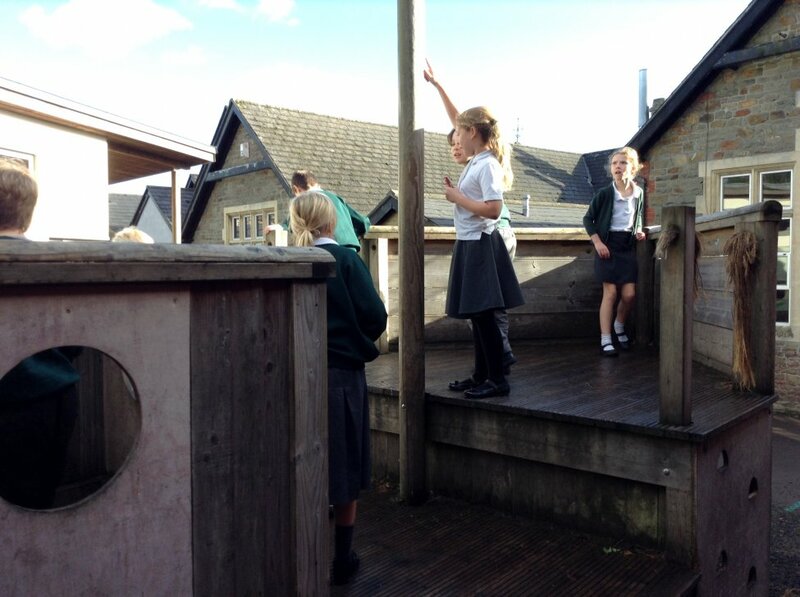 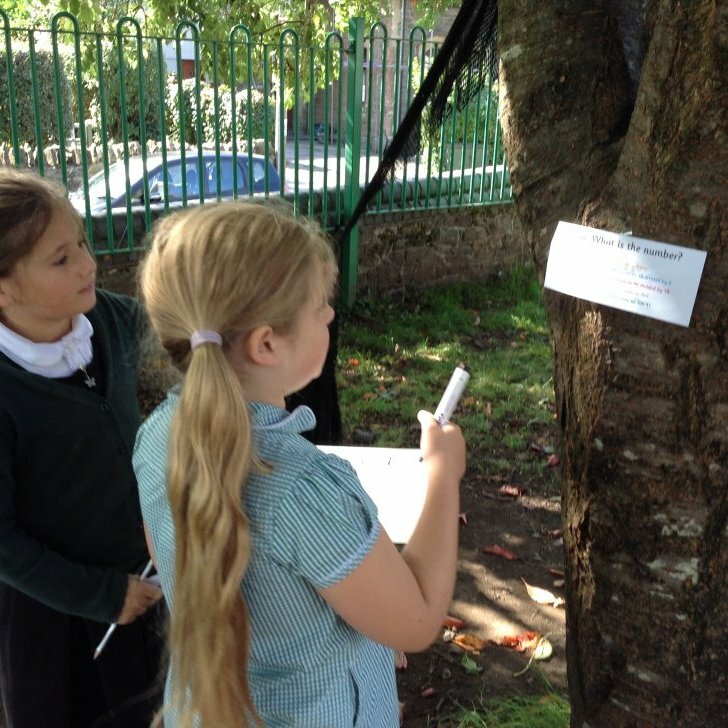 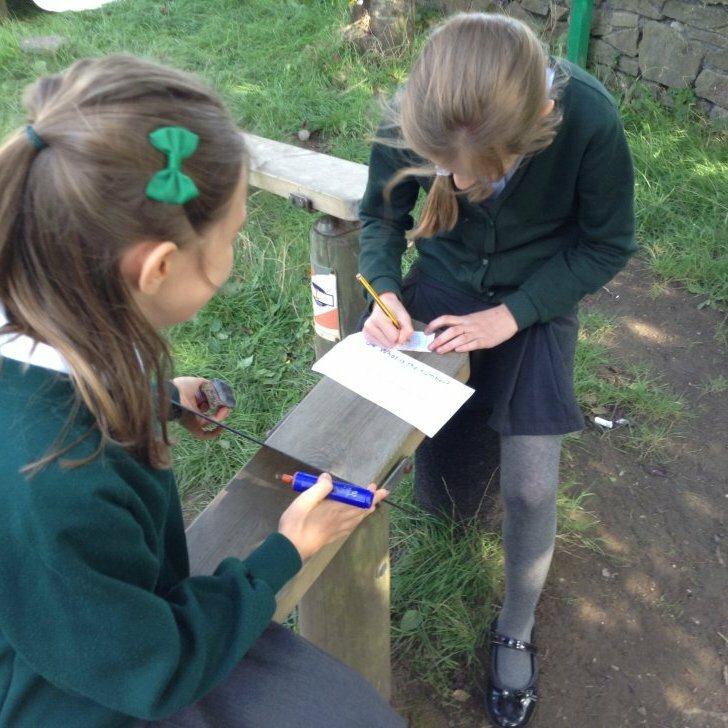 We have been trying to make the most of the last bit of sunshine, so have been taking learning outside where possible, such as the place value riddle hunt shown in pictures. 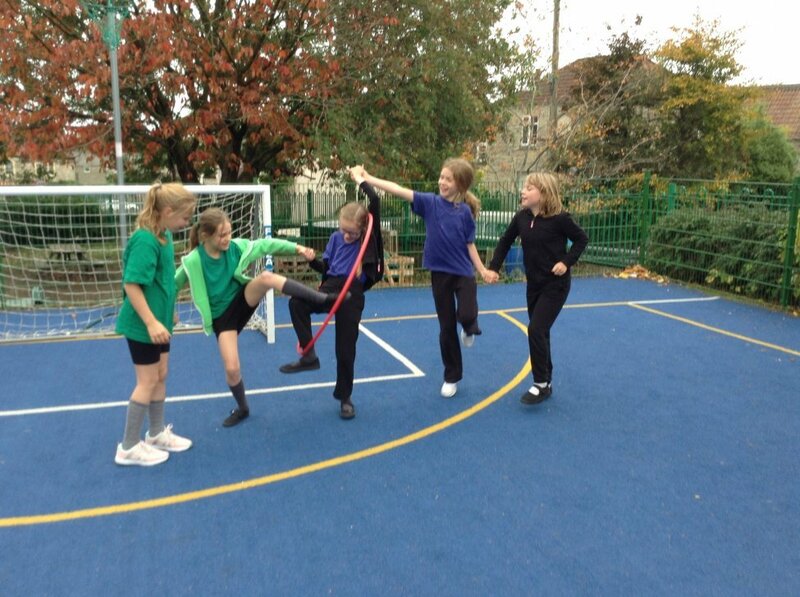 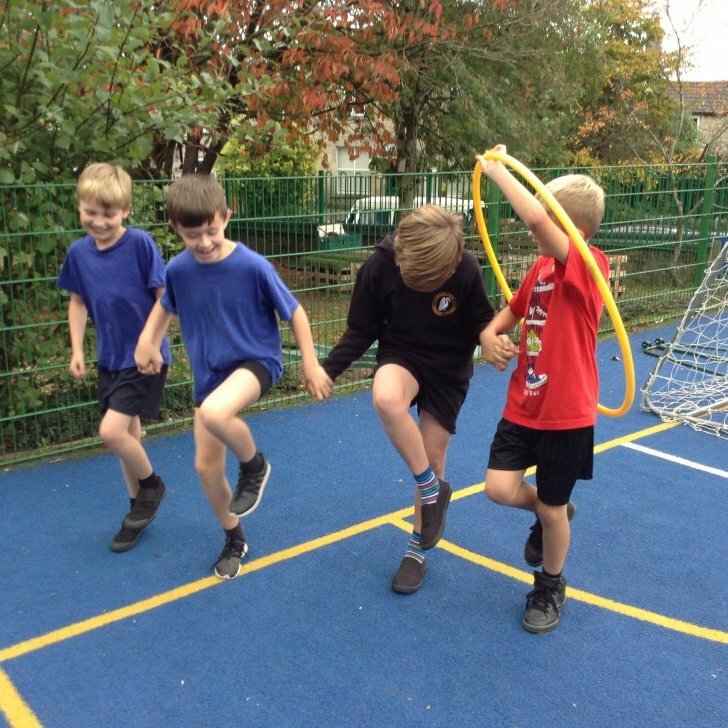 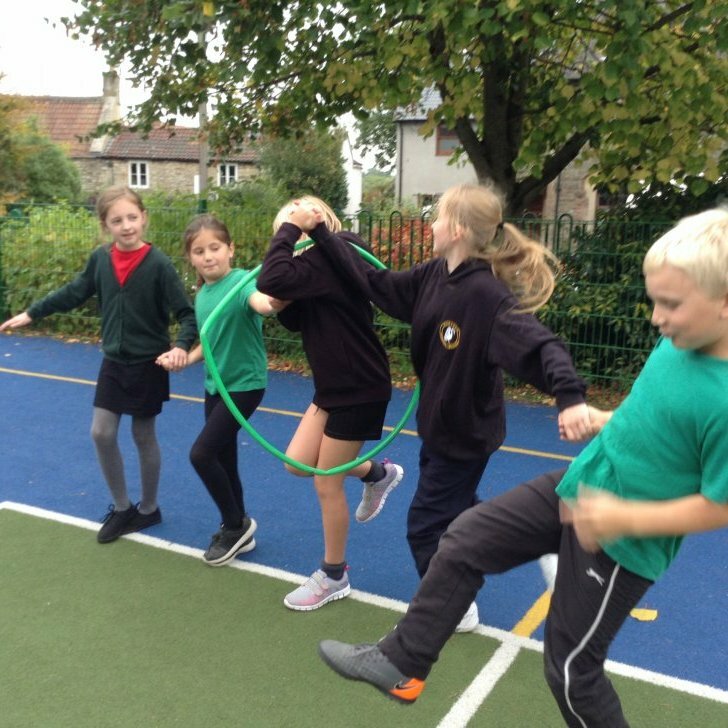 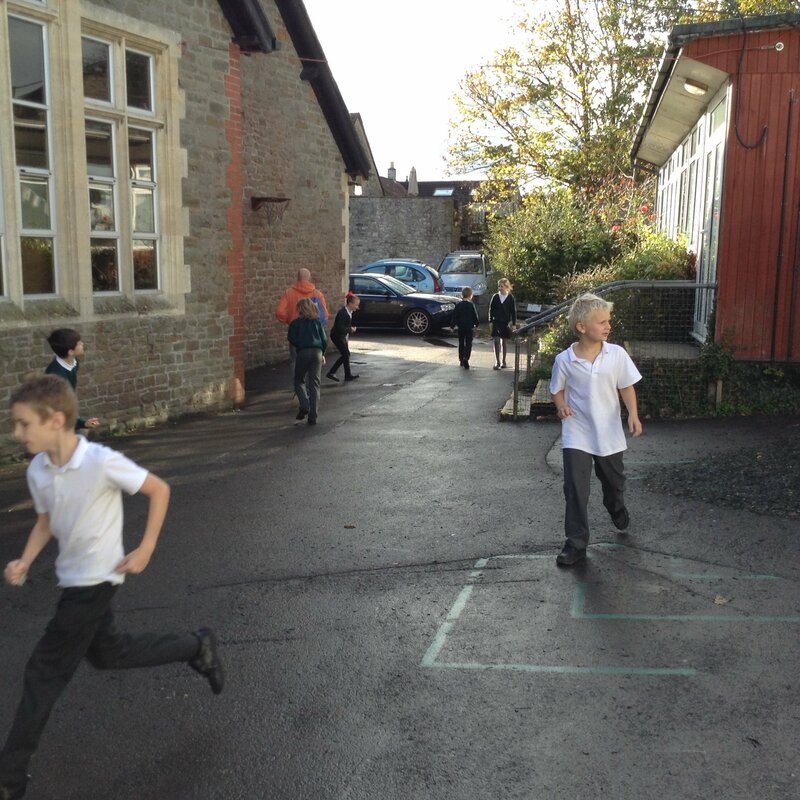 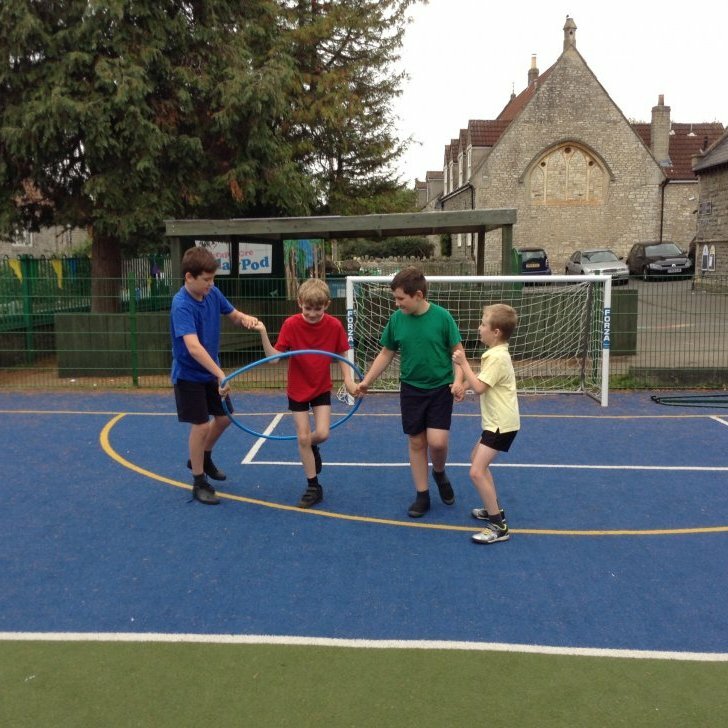 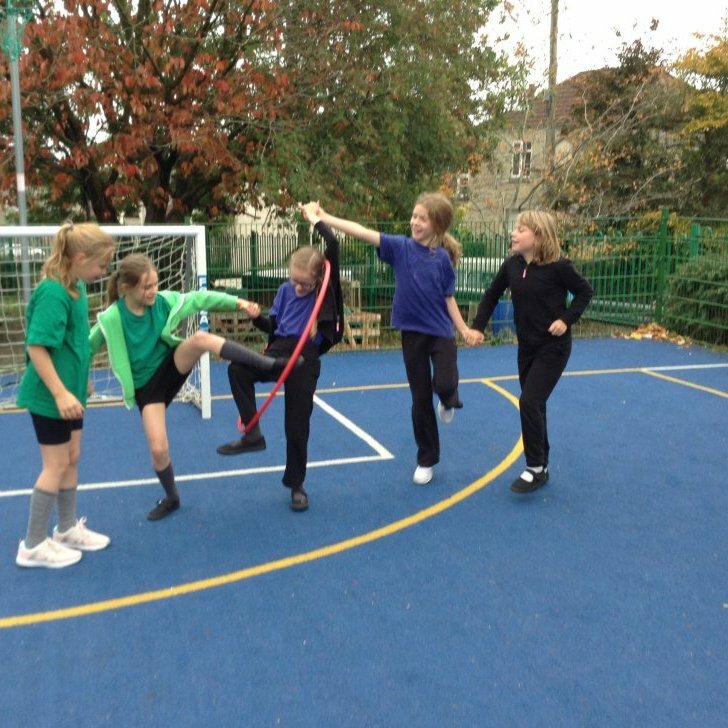 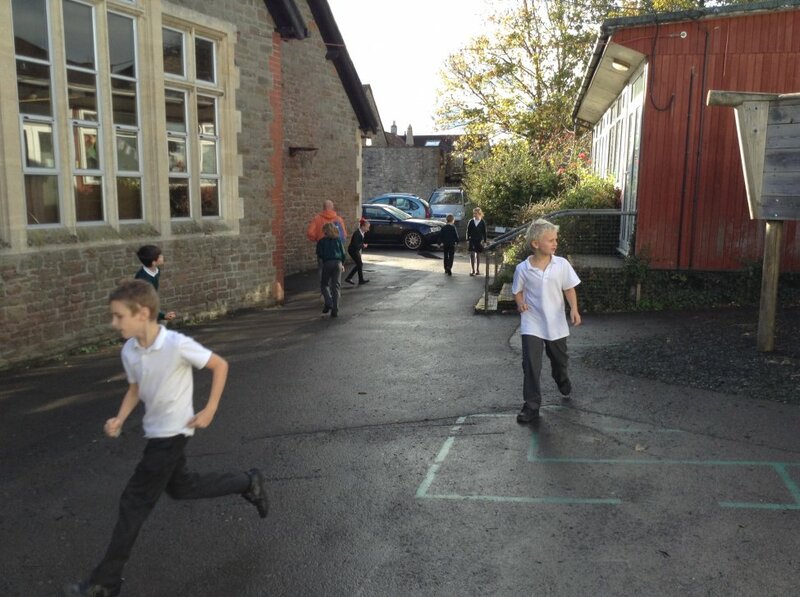 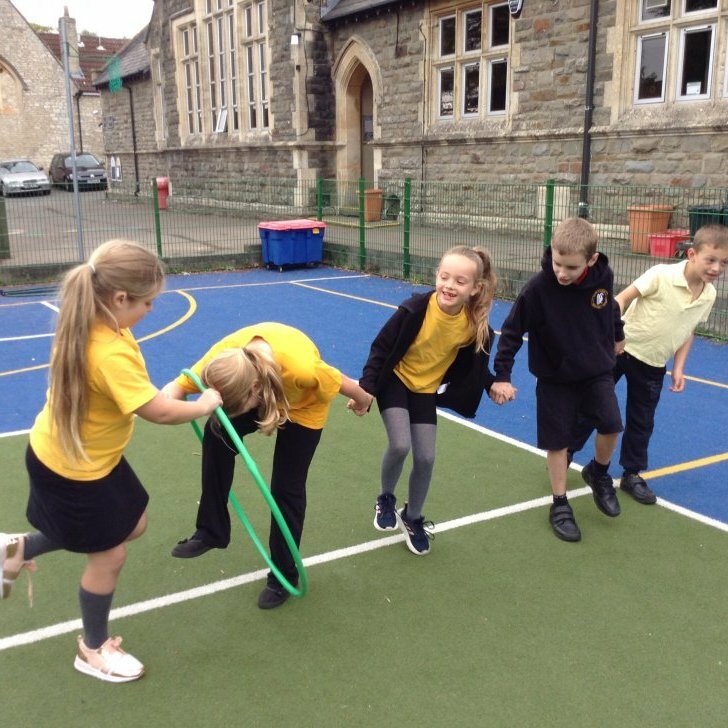 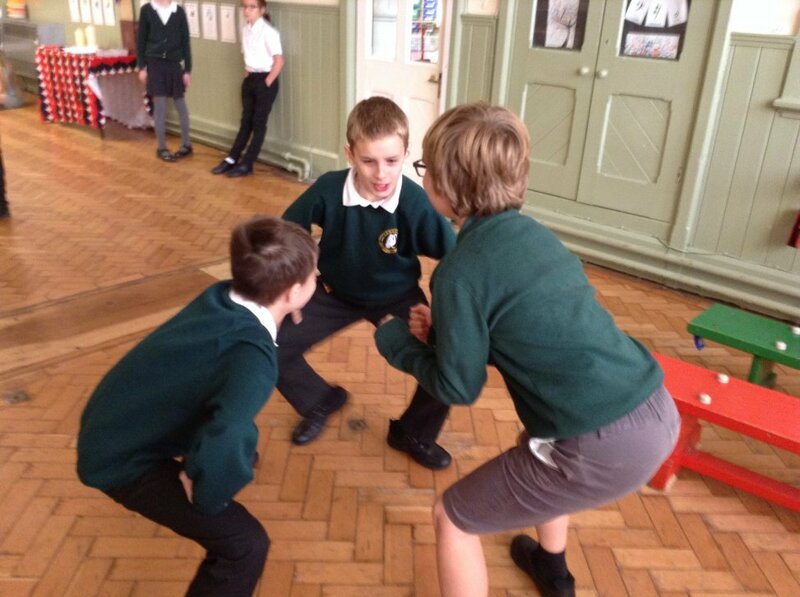 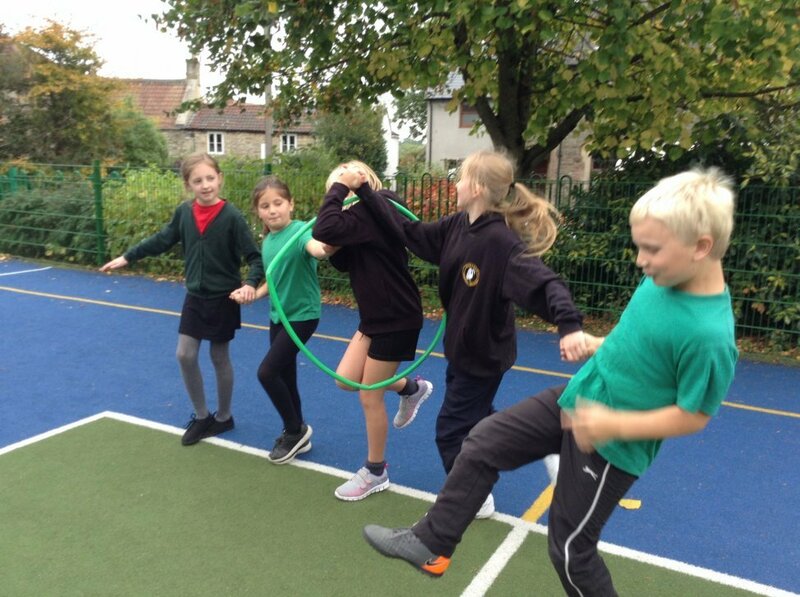 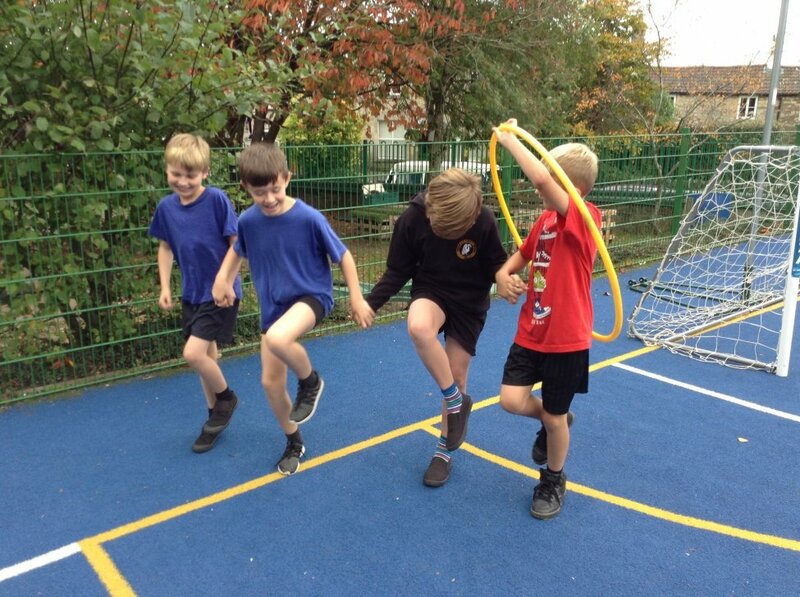 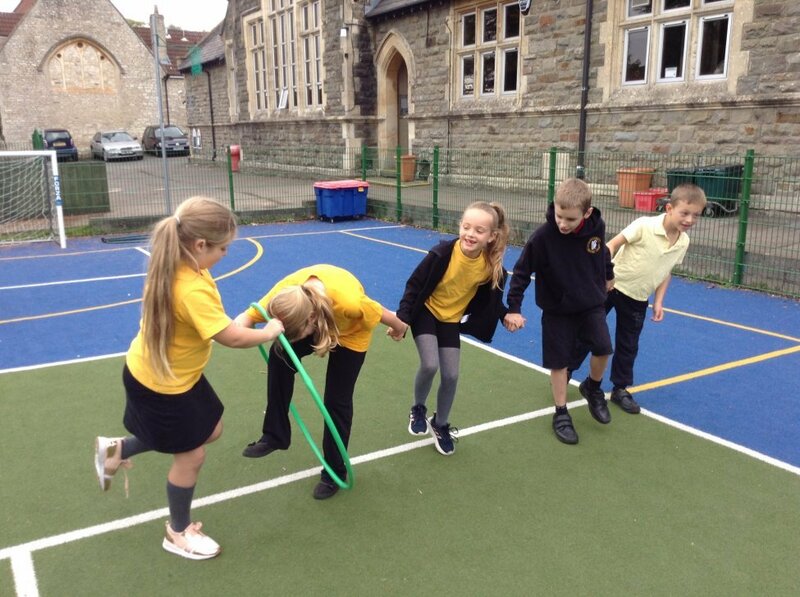 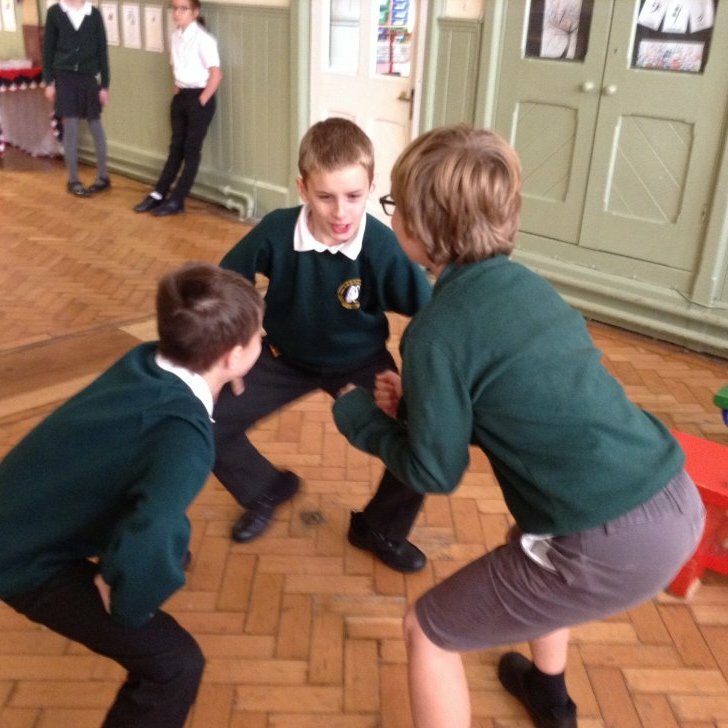 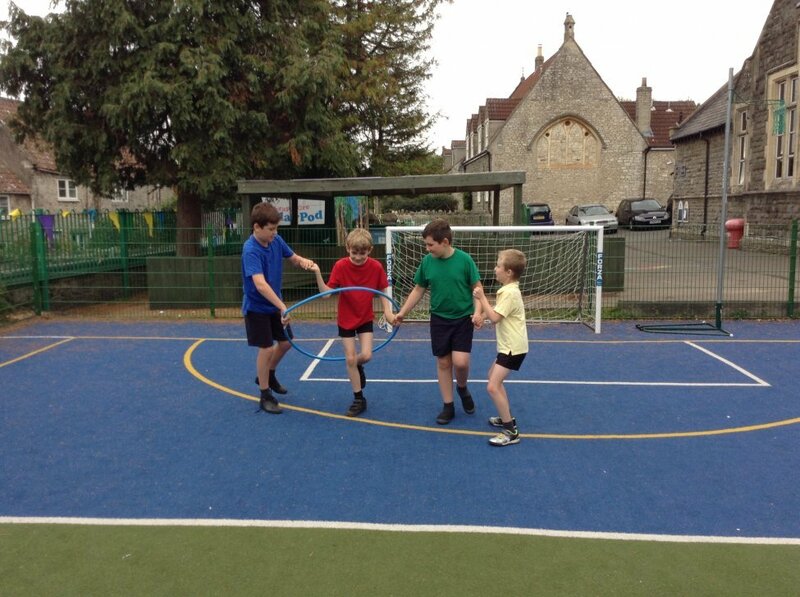 P.E continues to be outside, on Tuesdays, where we have been enjoying some strategy and teamwork games. 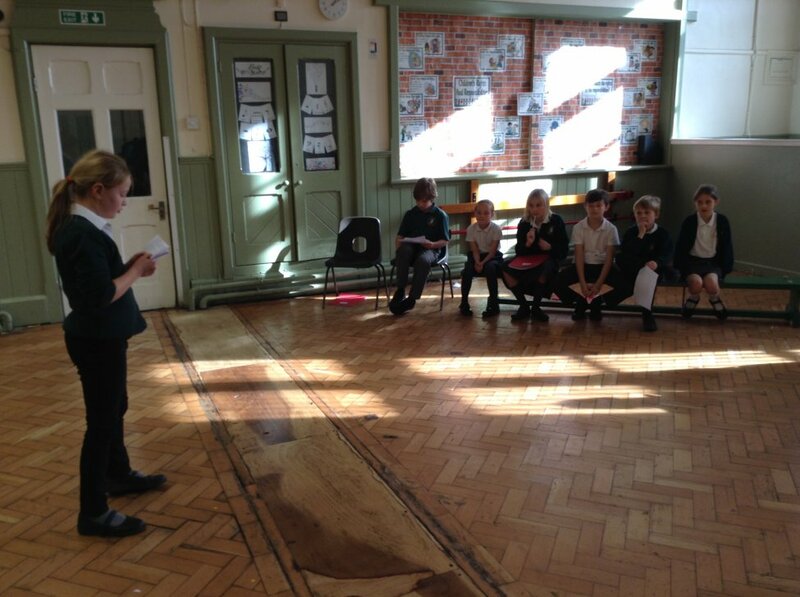 Coming soon… Andy Warhol inspired Pop Art and our class debate, ‘To zoo or not to zoo’. 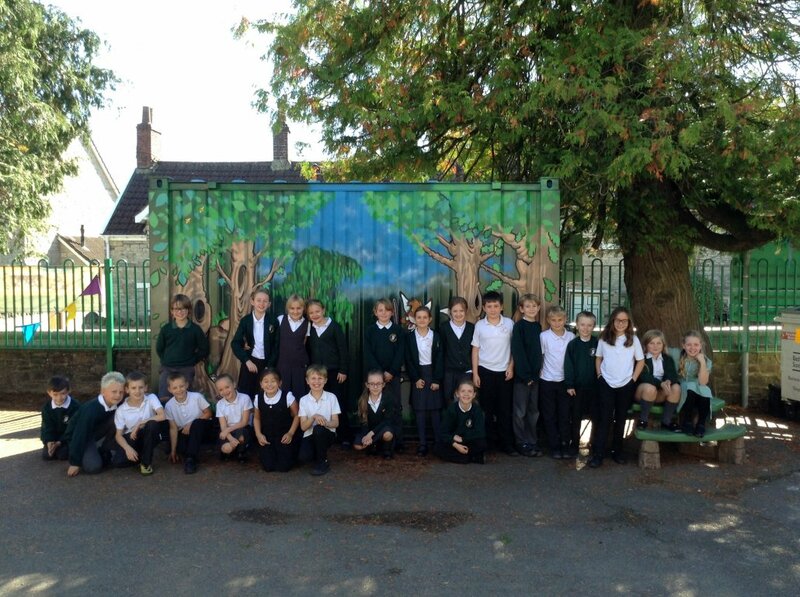 What a great term we have had, surely one of the most enjoyable in a school! 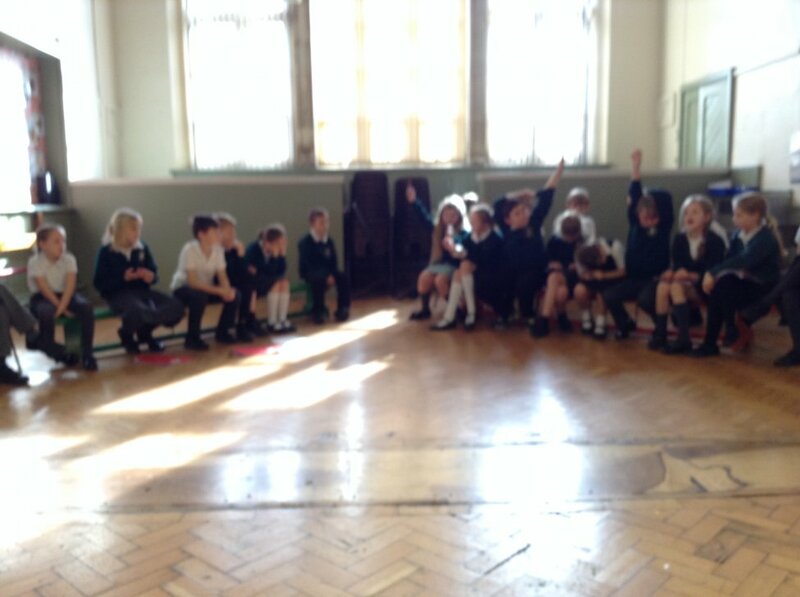 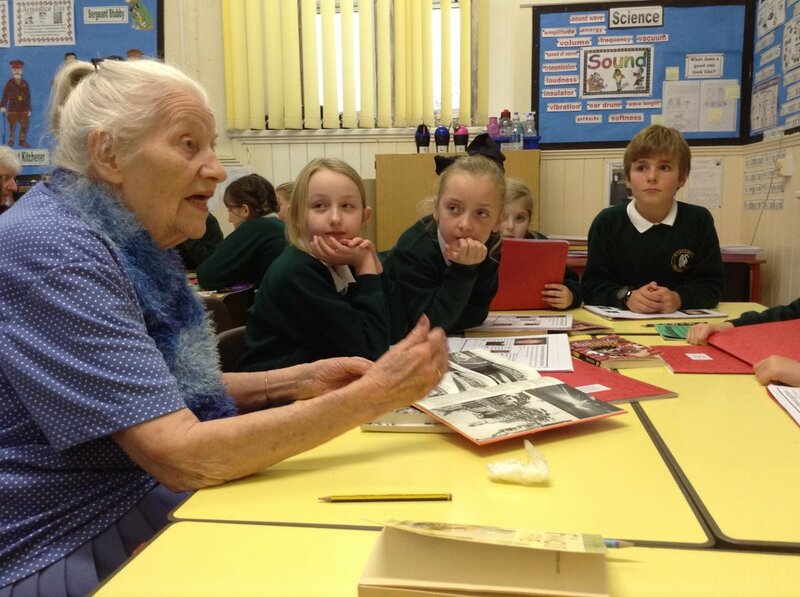 We have been learning all about WW1, particularly thinking about what life would have been like in Clutton. 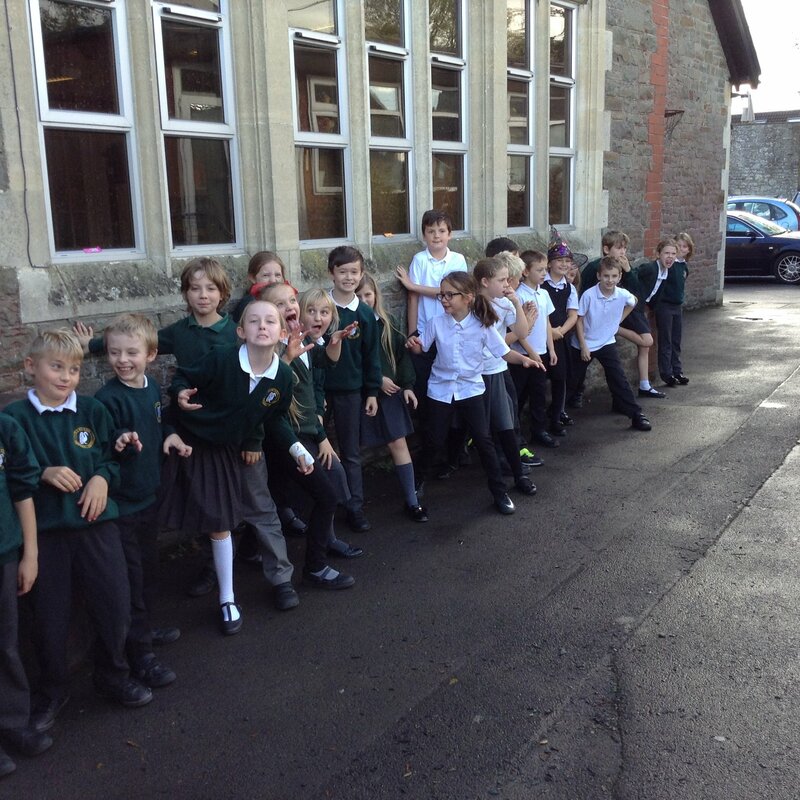 We researched a local figure, Oliver Brooks, who was awarded a Victoria Cross (ask the children to tell you the story about how he was awarded it). 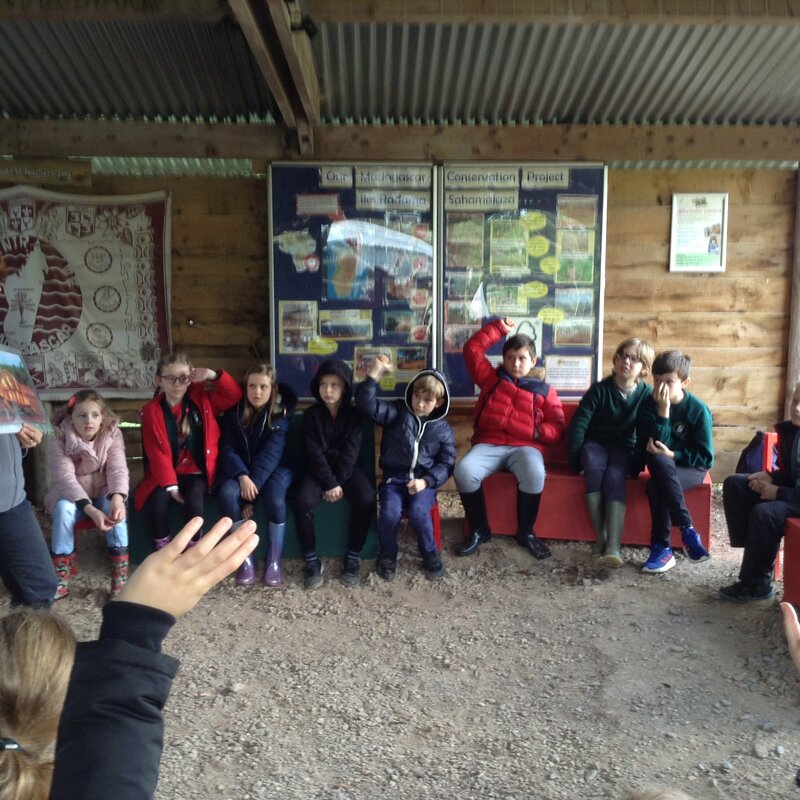 We also did a voice over on some wartime videos aimed to encourage women to take on working roles, such as farming, which were fantastic! 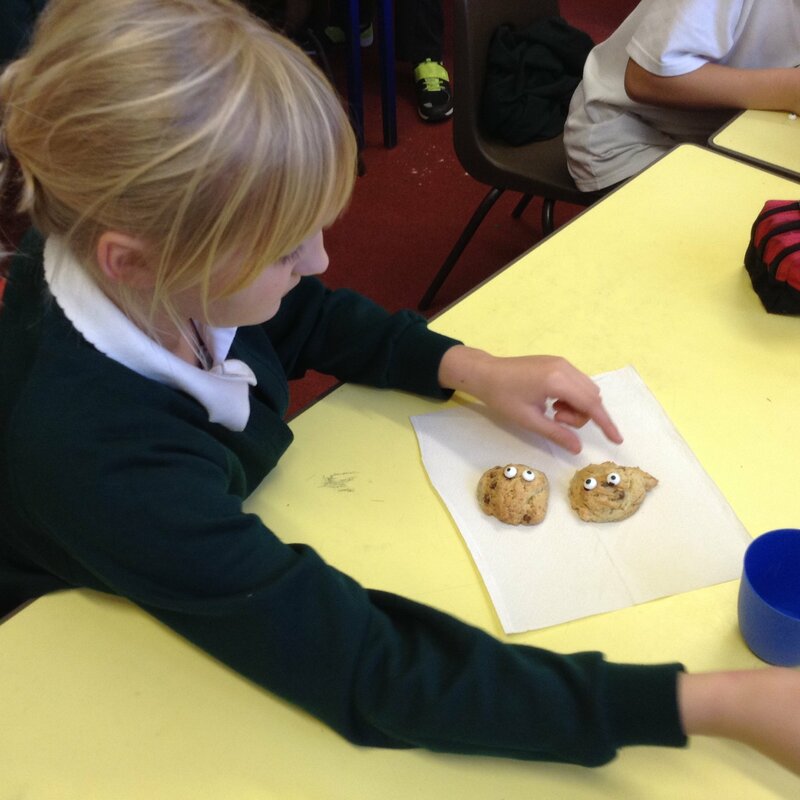 The children have also been learning about light in Science which has been rather exciting, I'm sure you all heard about the eye dissection! 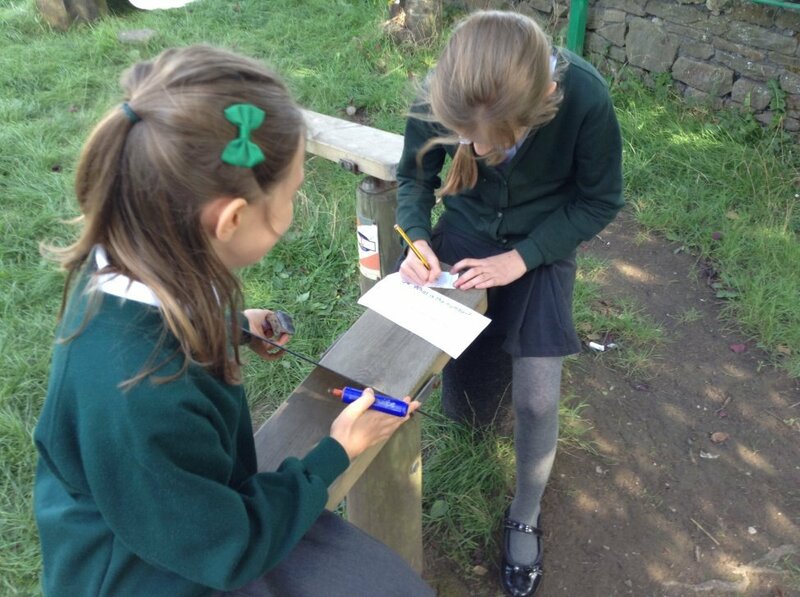 In Maths we have continued to practise calculation, as well as exploring length and perimeter. 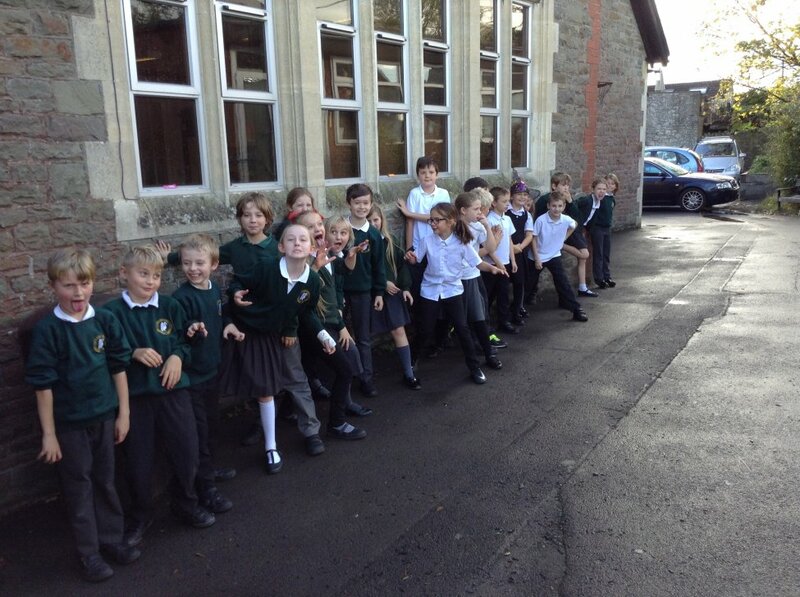 We have also begun to practise Kung Fu punctuation which has supported the children in SPAG. 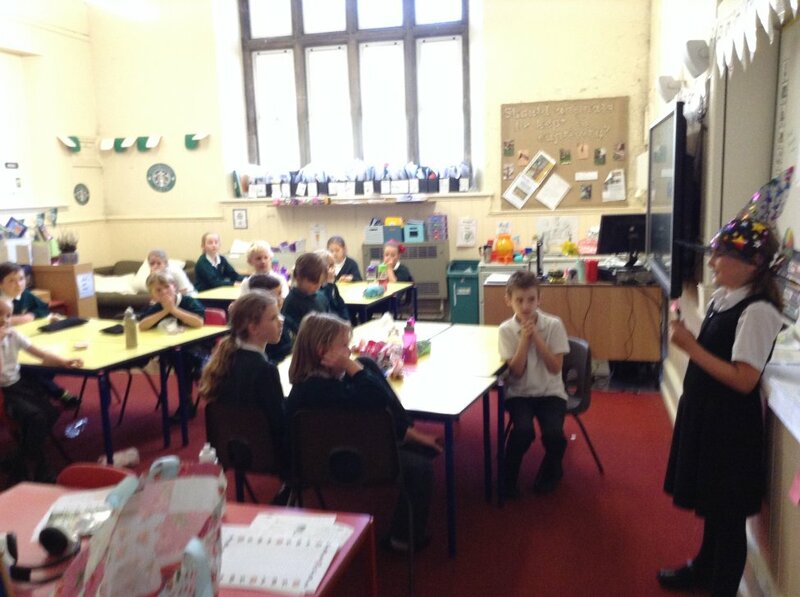 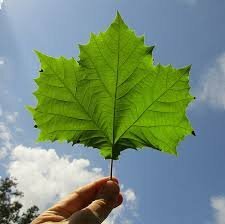 We will continue this next term. 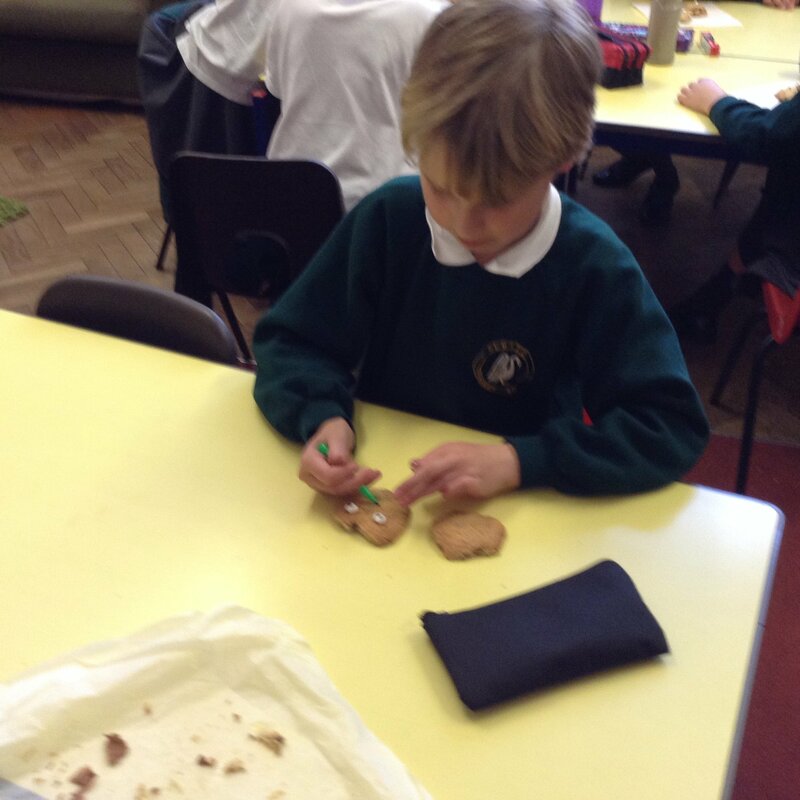 All of this and much more was completed whilst preparing for our Christmas celebration. 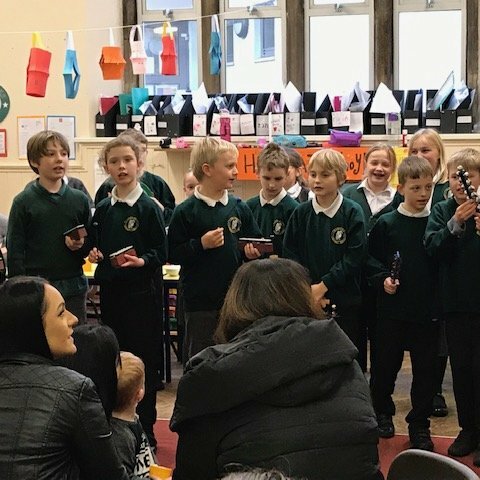 Apologies if anyone had to endure many hours of 'Baby Elf' rehearsals but I'm sure you all saw it was worthwhile as the children worked really hard and did an amazing job! 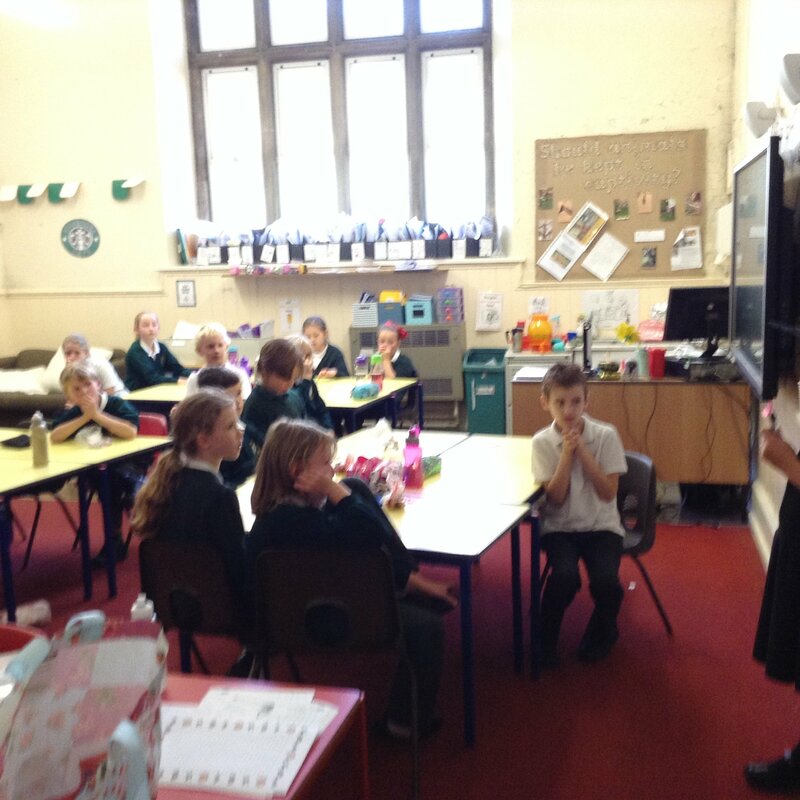 We enjoyed our last day of term with a Christmas quiz and a film afternoon. 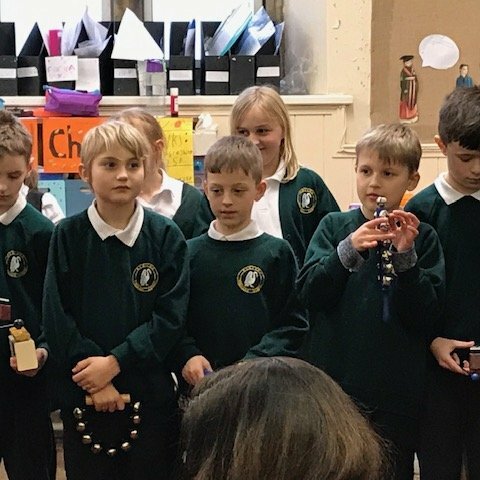 I hope you all have a very Merry Christmas and I look forward to seeing you in the New Year.